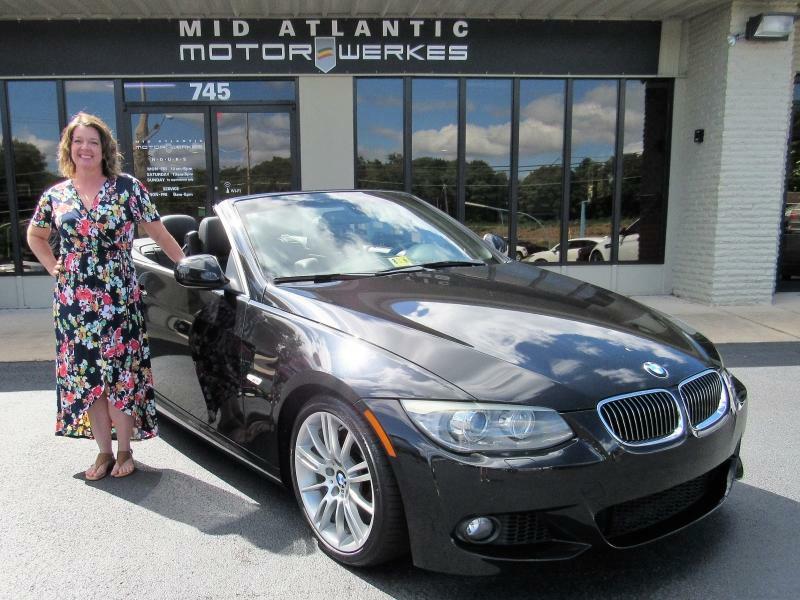 Mid Atlantic Motorwerkes is the best dealership I have ever had the pleasure of working with. I knew I wanted a new vehicle but wasn’t 100% sure what would be the best option for me and my family. Greg and Dallas took the time to answer all of my questions patiently and thoroughly, in addition, they provided information I did not even know I needed! 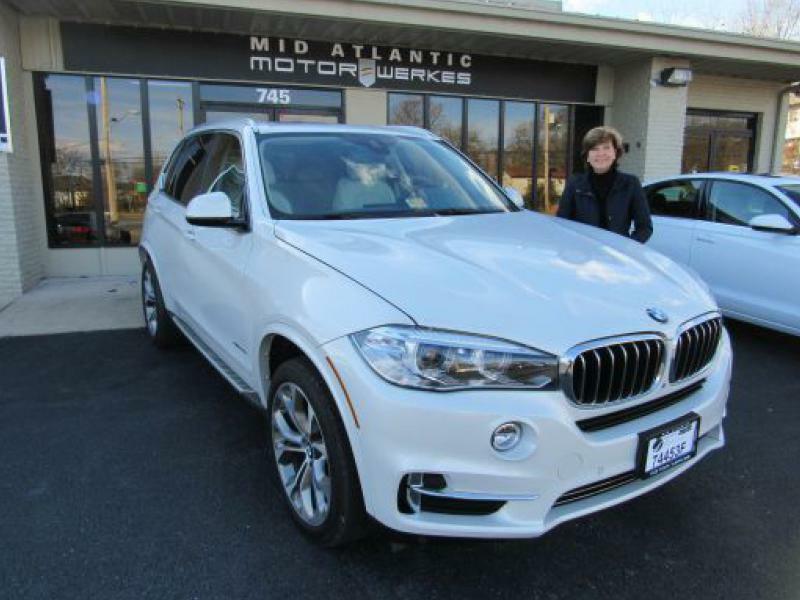 I cannot say enough about how they made car shopping such a positive experience – no pressure or games, just gentle guidance and steering in the right direction. 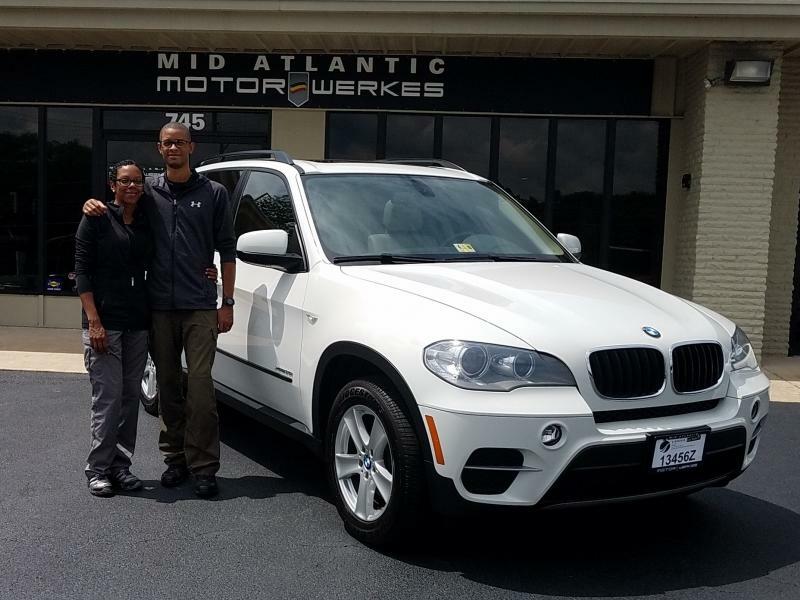 We are so pleased with our BMW X5, and when the time rolls around for another ‘new’ vehicle we will definitely be heading back to Mid Atlantic Motorwerkes. Awesome job guys, thanks!! 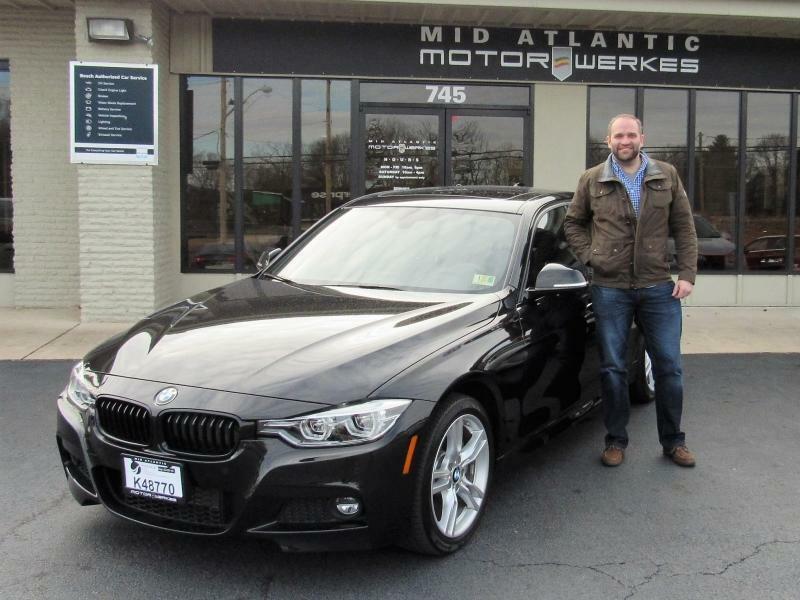 4th BMW purchase with Mid Atlantic Motorwerkes. 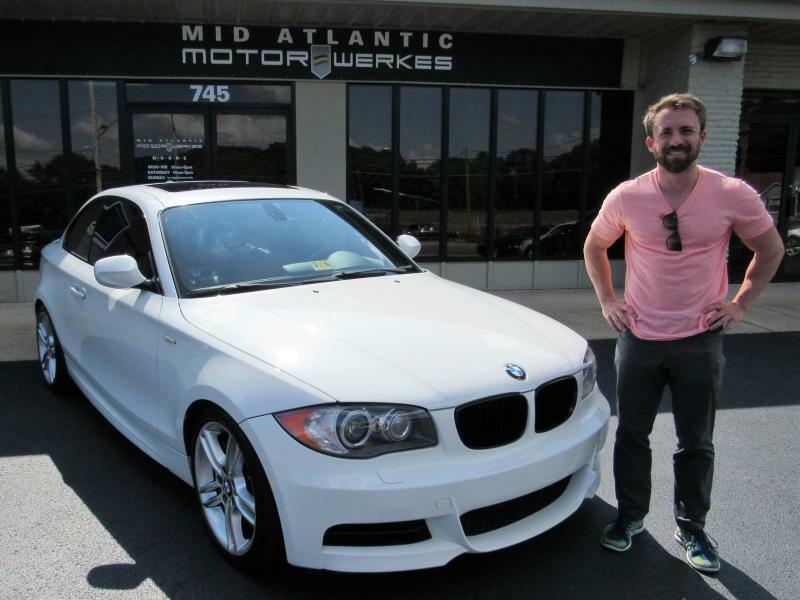 This is the Pirtle's 5th vehicle purchase from Mid Atlantic Motorwerkes! So where else would I turn to when I decided to purchase my first exotic? 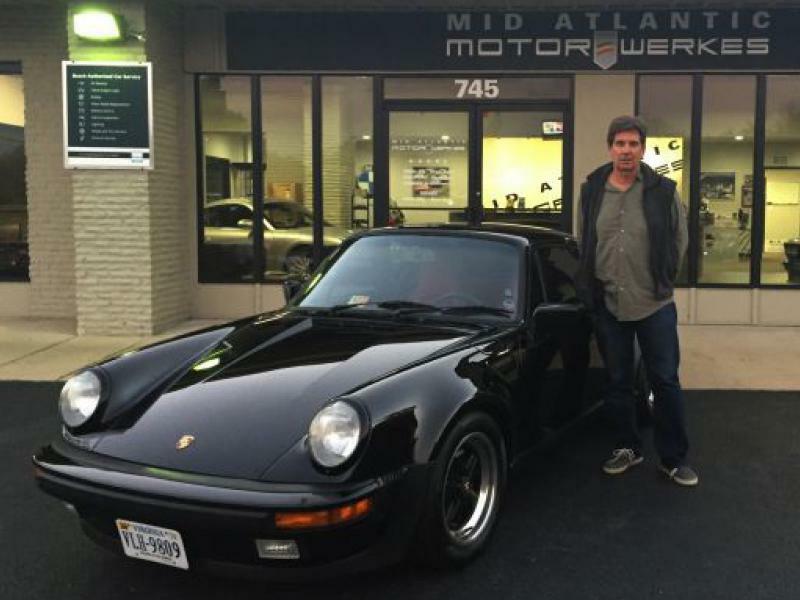 I went to Greg about my desire to upgrade my 2001 Porsche into something newer...and exciting. I asked him about Ferrari's, Lamborghini's, Maserati's, Audi R8's and, of course, Porsche turbo/GT3's. Greg has a history as a race car driver so I knew he had plenty of experience being around all of these cars. He used his knowledge of the cars AND myself to caution me about different issues with the different vehicles. I kept coming back to the Ferrari 360 Modena and the Ferrari F430. Greg discovered that in the F430 the timing belt had been replaced by chains which did away with a costly recurring maintenance issue. This made a huge difference in future cost of maintenance and solidified my hunt for an F430. 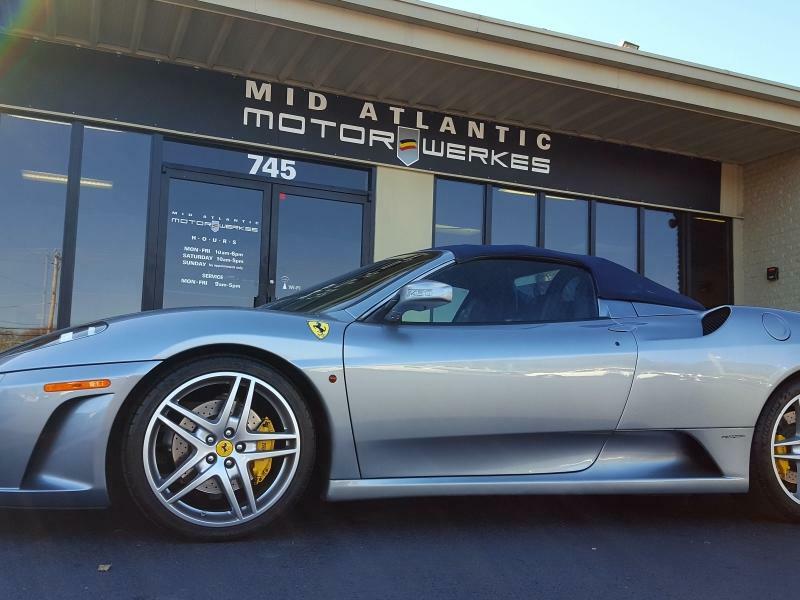 When I located a beautiful used Ferrari F430 at a dealership, I hired Greg to accompany me and assist me with the final purchase. Greg traveled 120 miles with me to the dealership. He was worth every penny as he double-checked the vehicle thoroughly, tested the paint, reviewed all records including the PPI, test drove it and insisted on us receiving all copies of the vehicle service history (very valuable for future resale). 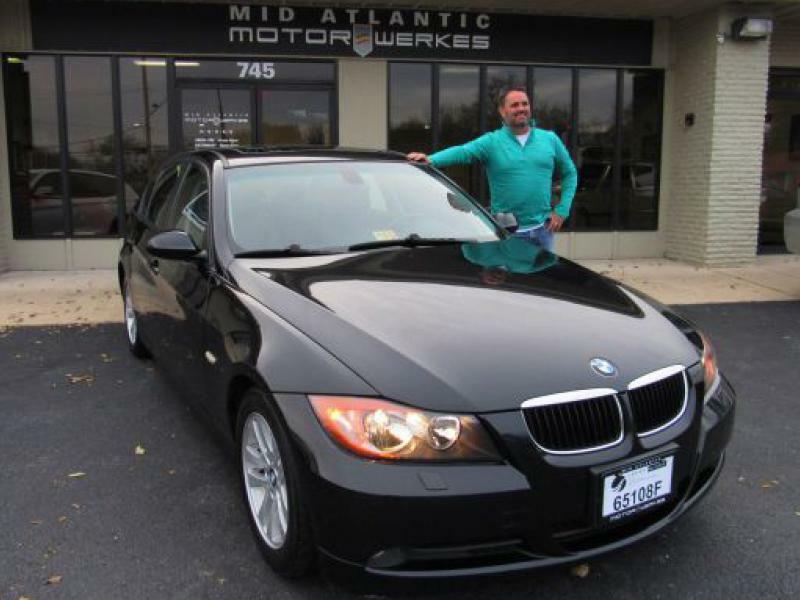 My wife and I felt "in-control" with Greg as our advocate as we completed the final negotiations with dealer. I haven't stopped smiling since! 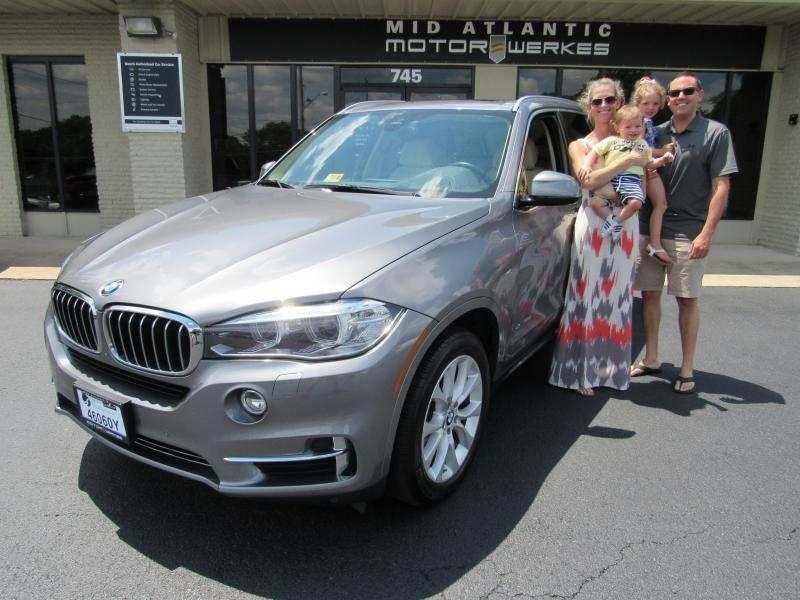 This is the Sease family's 2nd BMW purchase from Mid Atlantic Motorwerkes over the years. 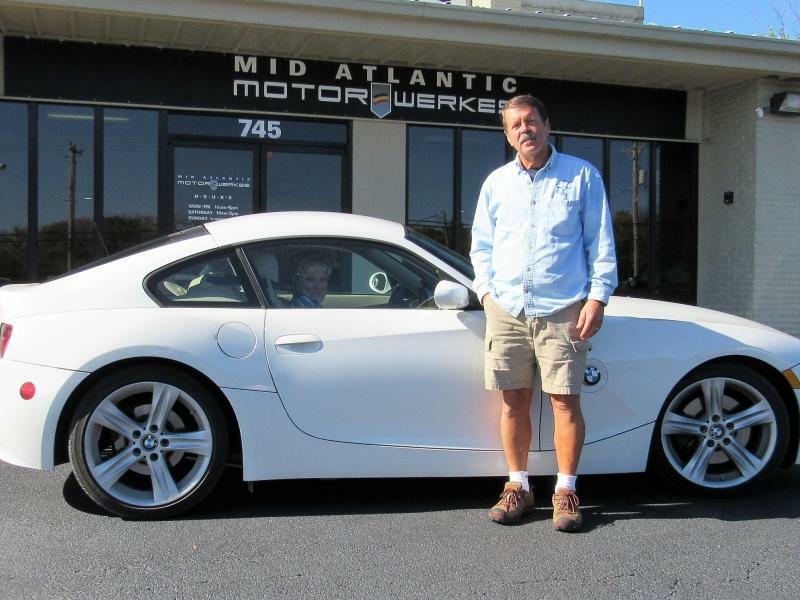 The sales team at Mid Atlantic Motorwerkes were very responsive to all my questions about the Z4 Coupe I wanted to purchase. They got me lots of history on the car and good advice for all my questions after the sale. 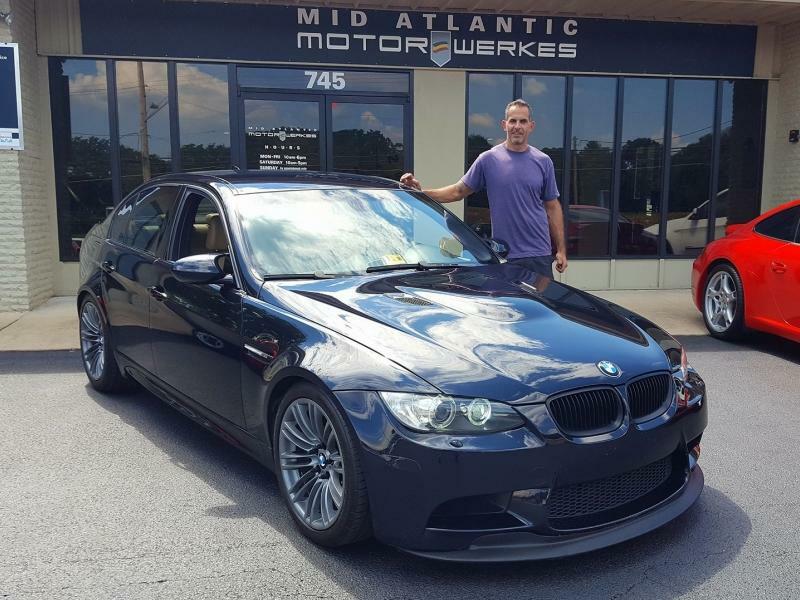 I would highly recommend Greg, Dallas, and Jason for anyone interested in a special BMW. BEST.BUYING.EXPERIENCE.PERIOD. 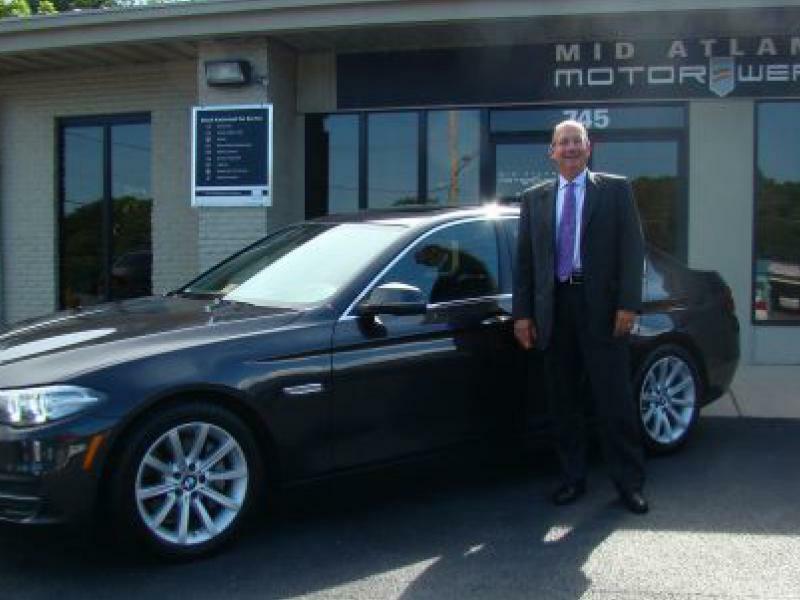 Greg gets great cars, he selects them as if he would be driving it and that makes a huge difference when buying a used car. 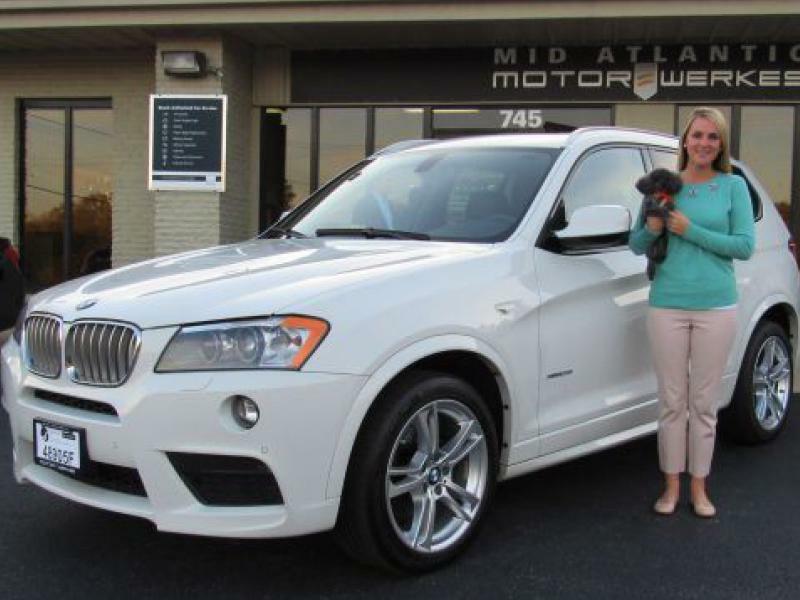 Frankly, that’s why we bought the X5. 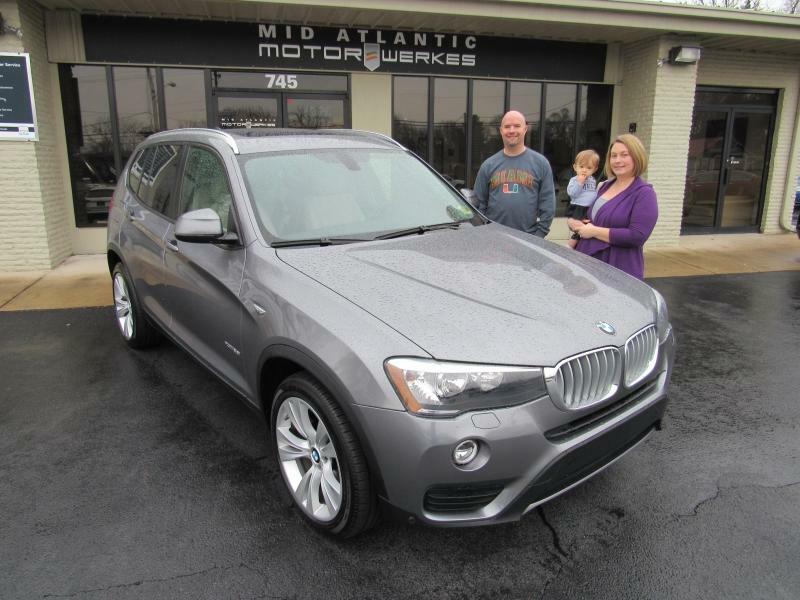 This is our 5th BMW, first one from MAM, certainly won’t be the last. Keep it rolling MAM! 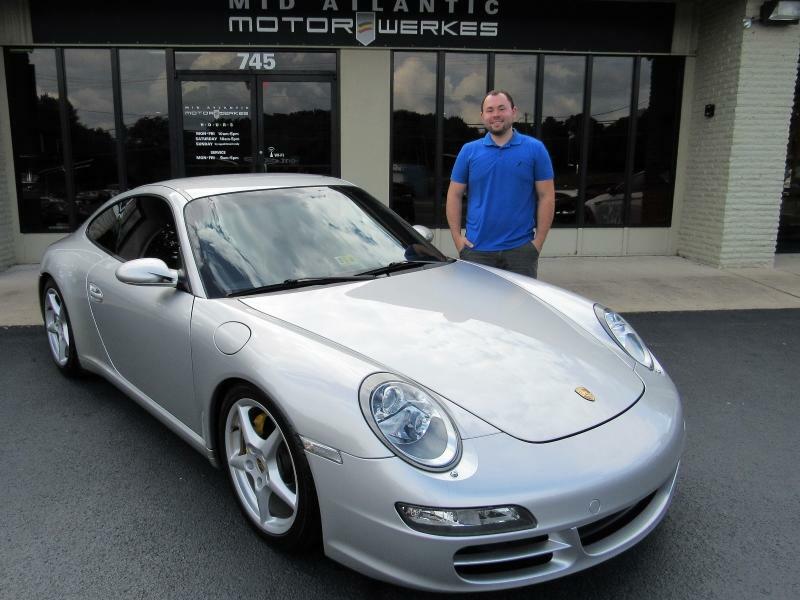 “Thanks to Greg, Dallas and the rest of the team at MAM I am the new owner of a beautiful 911! This was our 4th purchase from Greg and definitely not the last. 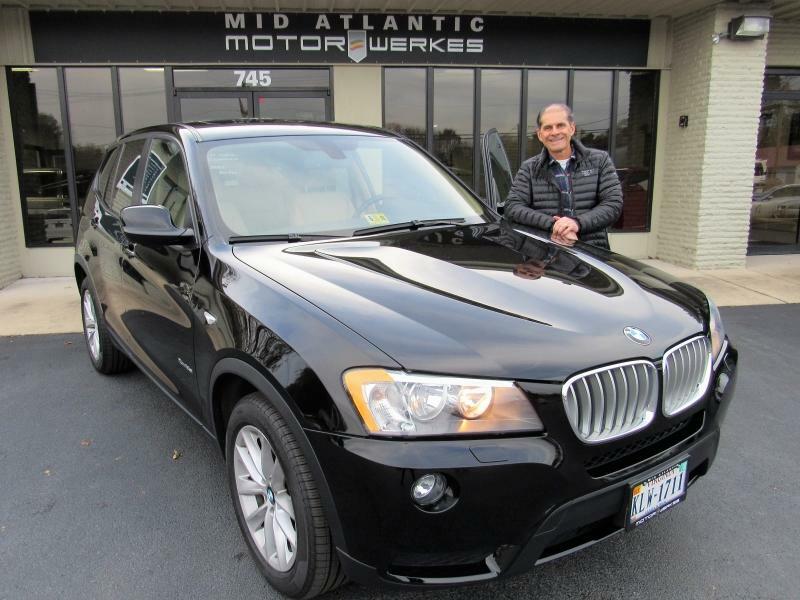 Greg is very meticulous when it comes to choosing cars and it definitely shows. The entire team at MAM are very honest and great people to deal with. From Greg finding the perfect car for me, to Dallas patiently walking me through paperwork and Jason for always guiding me through my servicing over the years and having the abundance of knowledge that he offers. 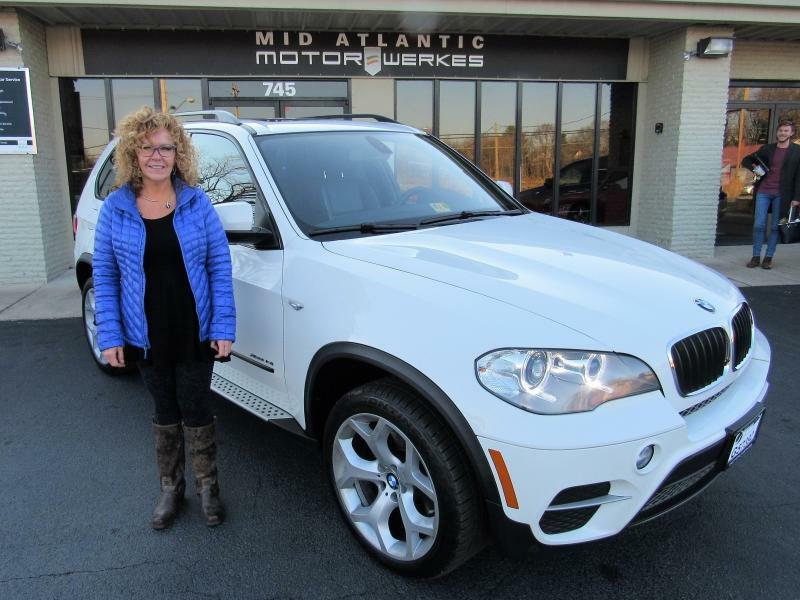 I recommend MAM to all my friends and family and look forward to having the pleasure to deal with them again!" 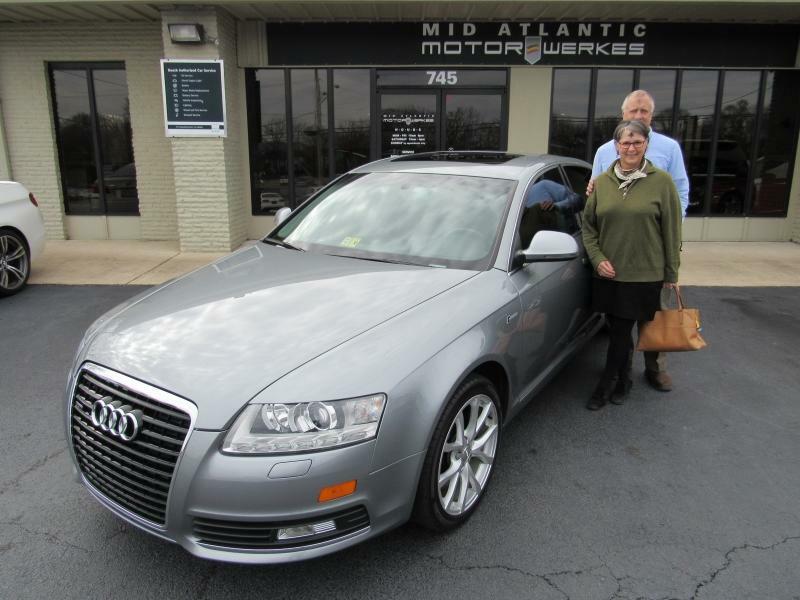 This is our 3rd vehicle purchase from Mid Atlantic Motorwerkes. 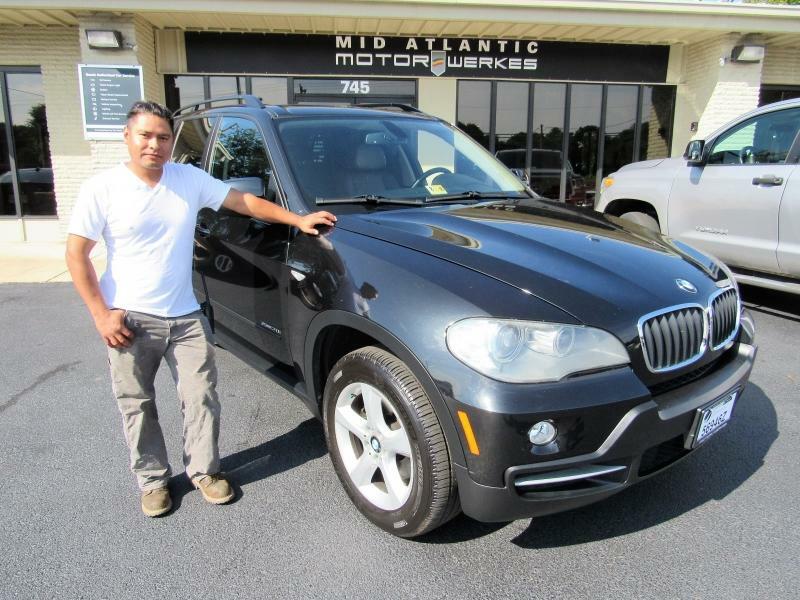 We continue to return for excellent service, up front honest dealings, and trust in the products they sell. 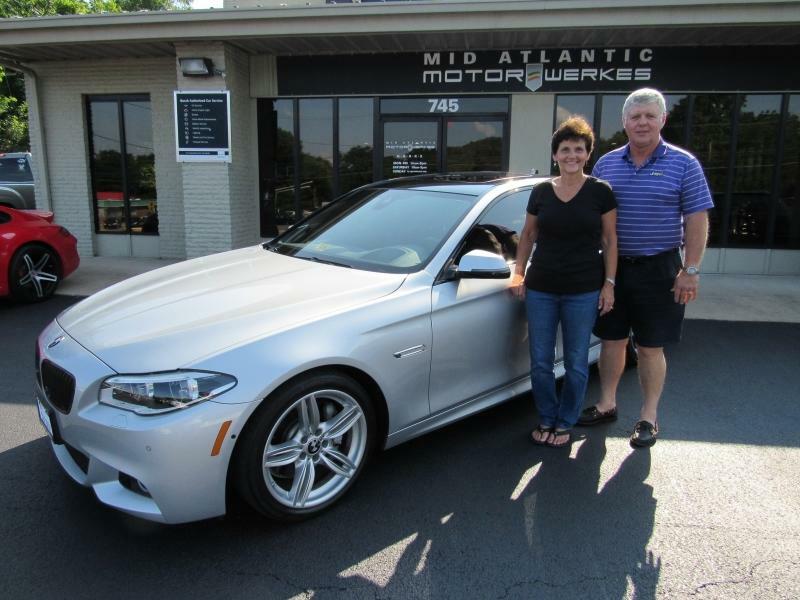 They go above and beyond what's expected of a dealer and service department. Buy with confidence, Dallas is awesome! FYI I have owned/own a number of Porsches, Mercedes, BMWs etc. since 1976, e.g. a lot of cars serviced by both Dealer and factory mechanics from San Diego > D.C.
Just wanted to let you know that Jason is by far the BEST of the best I have ever worked with -- extremely knowledgeable, customer oriented, and detail oriented -- he keeps me coming back to MAM. Sure you know this already, but Jason is truly an asset to MAM. Have a GREAT weekend and always a pleasure working with your team of fine-tuned professionals. 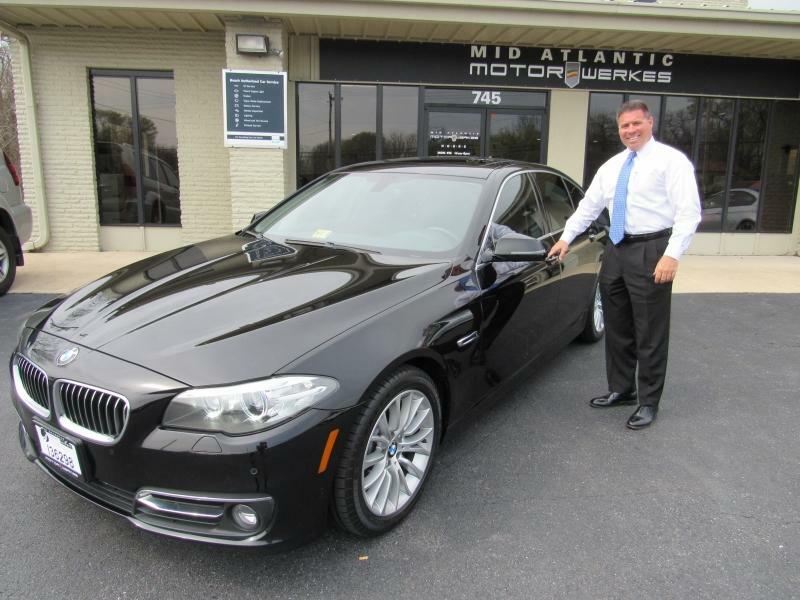 When we start looking for a 6 series in a couple years MAM will be the go to dealership for us. 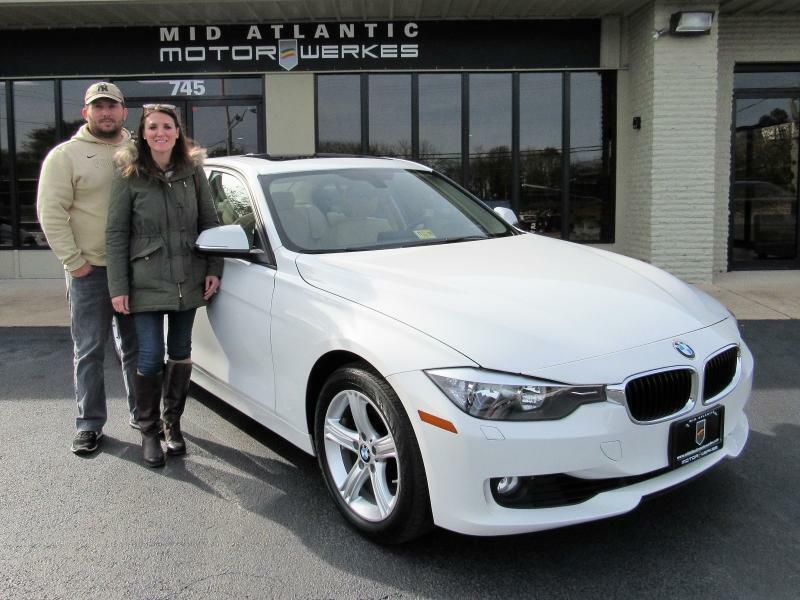 We are thrilled with our most recent purchase of an immaculate 2014 BMW 328i xDrive. 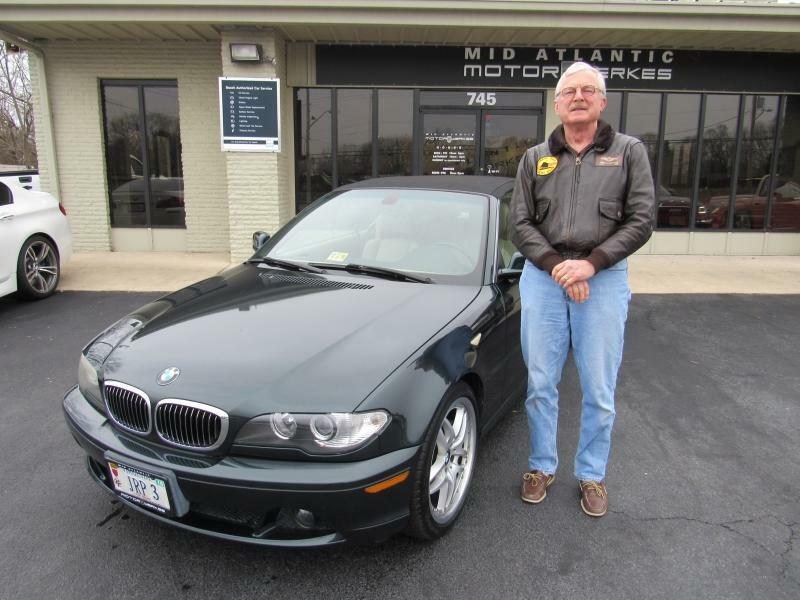 This is our second BMW we bought at Mid Atlantic Motorwerkes, within an eight months span time. 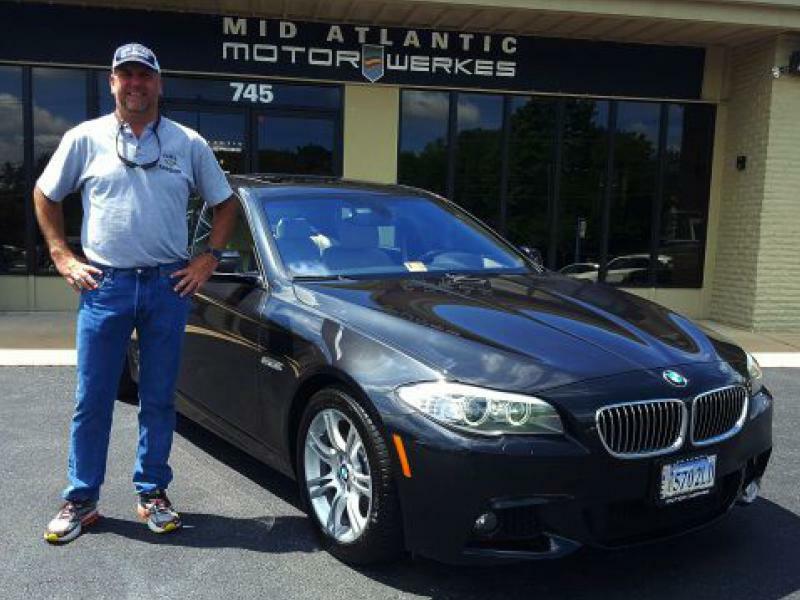 In December 2016, I bought a black 2008 BMW M3, hard-top convertible. Simply put, a dream machine. Consequently, in all fairness, we needed a matching car for my lovely wife, Anna. 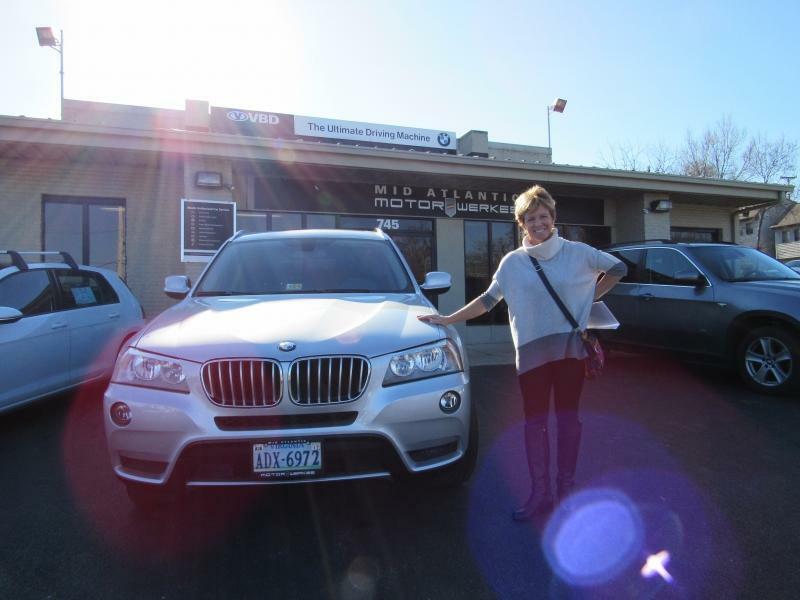 She was electrified, and adores her new car. Once again, Greg took super good care of us, gave us an incredible deal, Zero haggling -I hate bargaining. The paperwork was done in 20 minutes. In less than 30 minutes everything was ready, from start to concluding the deal, including preparing the car for the drive to its new home, in Maryland. 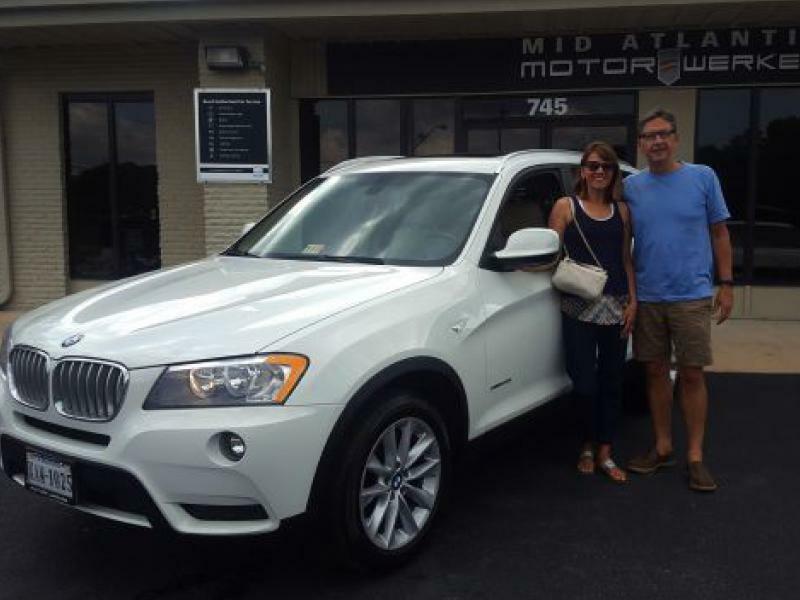 Wonderful car buying experience, simpler than renting a car. 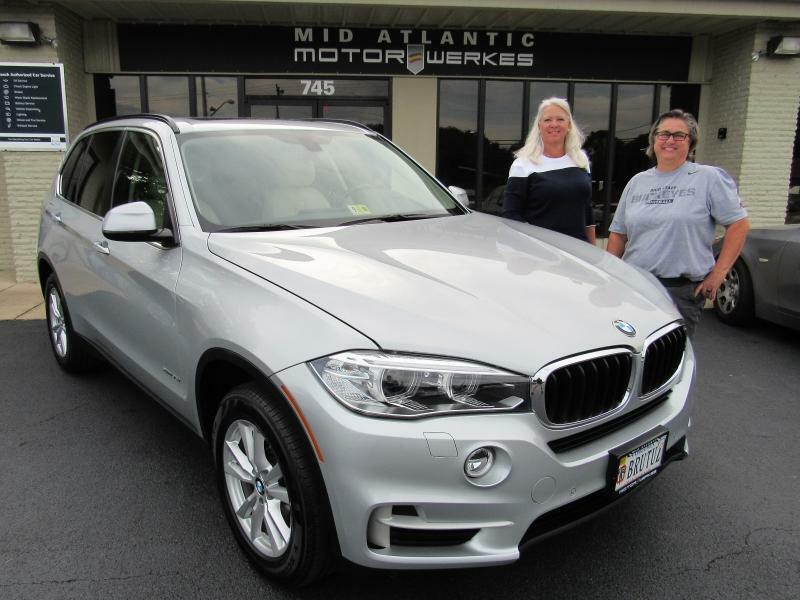 The customer care and the curtesy, at Motorwerkes has a flair of dealing with kind and fair family members; everything is easy going, no pressure, and Motorwerkes being attentive to our needs. 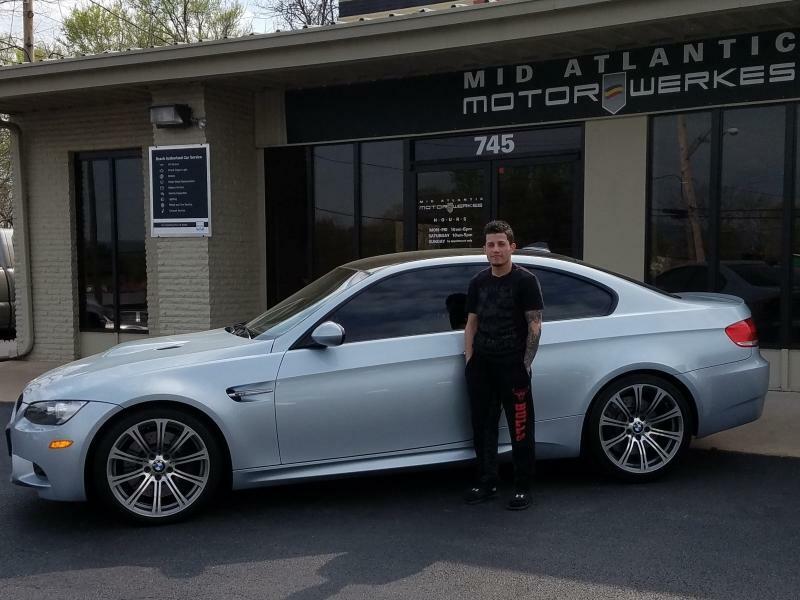 We live in Maryland, I drive 120 miles just to service our cars at Motorwerkes, and I had some racecar engineering done on my M3, as well, with fantastic results. We simply drop of the cars, first thing in the morning, walk downtown, have some delicious hamburgers with exotic beers at Jack Brown’s, and by the time we are done with our brunch the cars are ready. 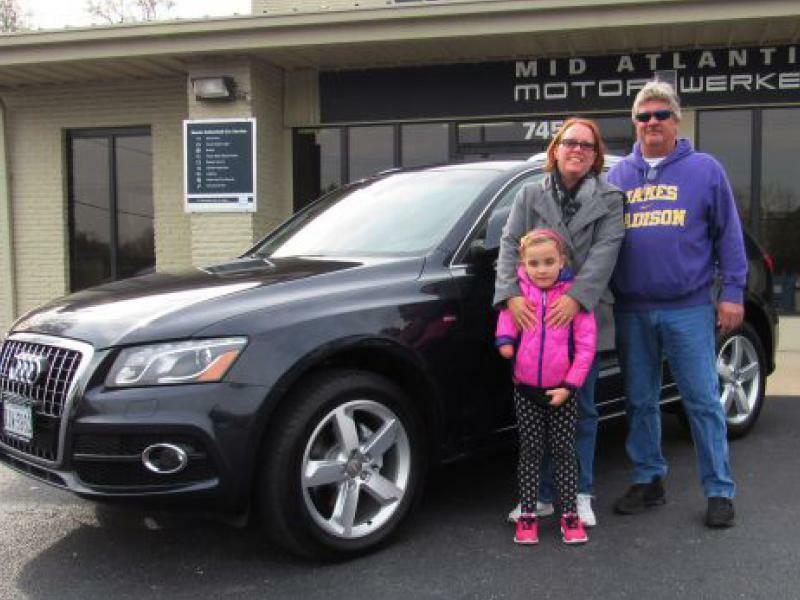 One can safely say that driving to Harrisonburg to visit Greg and company, buying, servicing, or just talking cars has become a family affair. 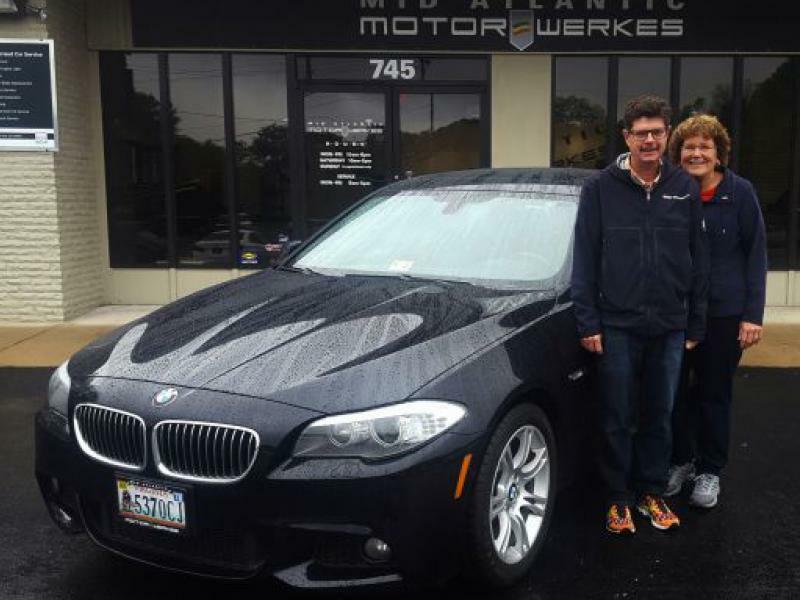 Thank you, Greg and Motorwerkes’s staff!!! You are awesome!!! Greg and crew are a standup group of car guys. 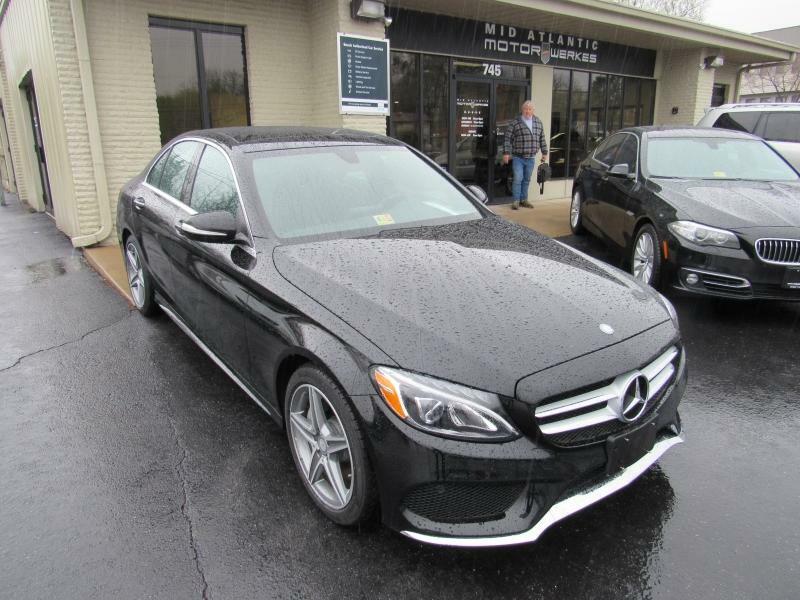 I have never bought a car from a “boutique” dealer (if that’s what you would call it), but I would absolutely do it again, no questions asked. There was very little negotiating that needed to be done. All of it was done over email or phone. Greg was very fast about getting back to me whenever I had any questions and never did I have to email him to get a follow up. He was the one to always follow up with me. The price was very fair, especially given the condition of the car. The few little things that needed to be done to the car before I bought it were handled in a timely fashion and with great expertise. I bought the car sight unseen (I live about 14 hours away). I coordinated with them when I was going to be coming out to get the car, which was about a month after I put the deposit down for the car. The car was in condition as described and was clean through and through. Everyone is always blown away when I tell them how many miles are on the car. They let me take the car for a little spin with my girlfriend before I handed over the final check. The whole finalization took all of 15 minutes to do, and we were on the road back towards Illinois. The car performed amazingly well through all the twisties of the East. Absolutely in love with the car. 10/10, would buy again. Thanks again guys! 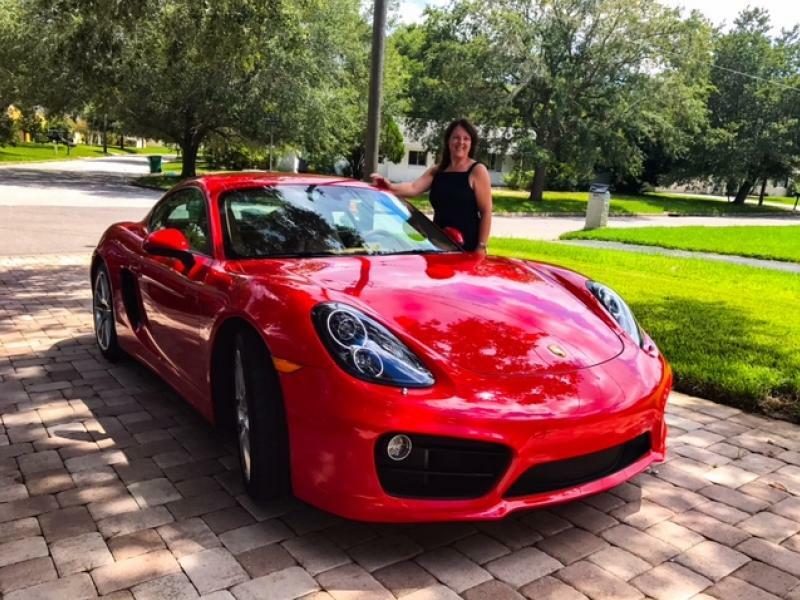 I just wanted to thank you for the easy and stress free experience buying my Porsche Cayman S.
From the minute I first fell in love seeing her on your Facebook post, to the time she was delivered, your service was professional and friendly and the questions I had were answered in a knowledgeable and easy to understand manner. The delivery service to Florida was exemplary and as an extension to your business continued the excellent manner in which you handled the sale. 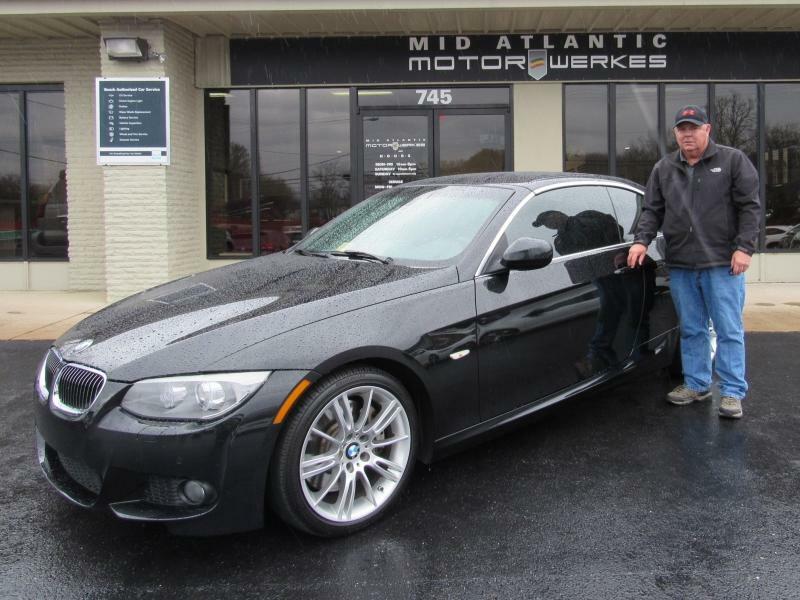 I have no hesitation in recommending Mid Atlantic Motorwerkes or buying from you in the future. "I first met Greg at the track, where we raced wheel-to-wheel. It takes a lot of trust to drive inches away from someone at the speeds we reach. Greg and I quickly went from fellow racers to friends, then I became a customer. 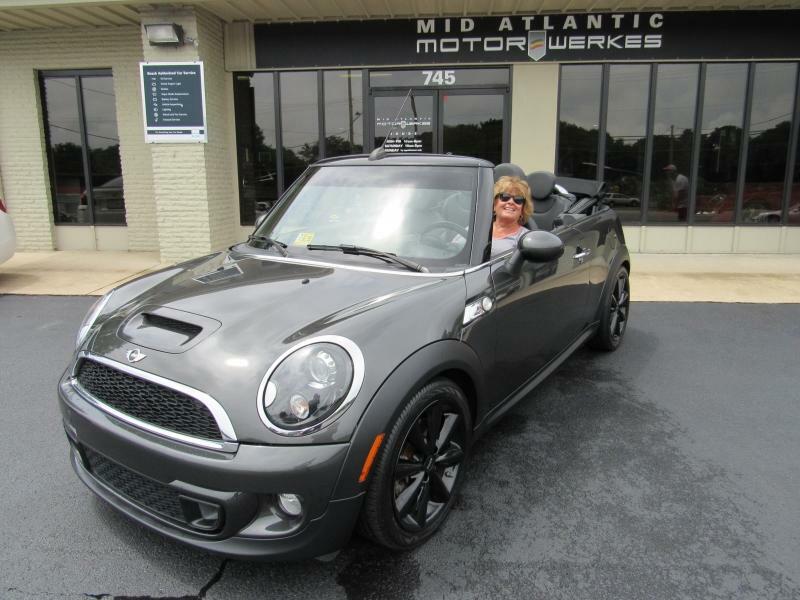 This is the second car I've bought from Mid-Atlantic Motorwerkes, and once again they made it an easy and quick experience." 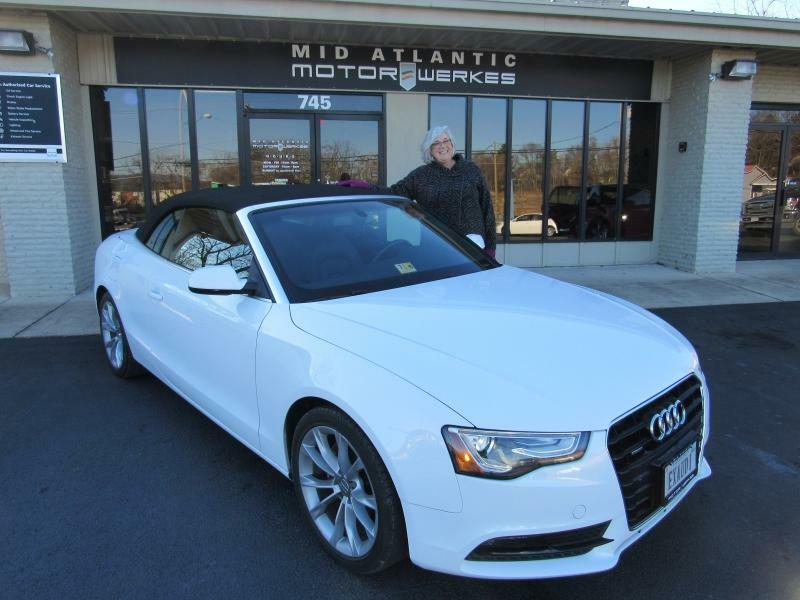 Like so many other folks in the Harrisonburg area my wife and I have always thought it best to travel to NOVA or Charlottesville when the time came to purchase and/or service import vehicles. Our thinking was the quantity would drive prices down and provide us with a greater selection. 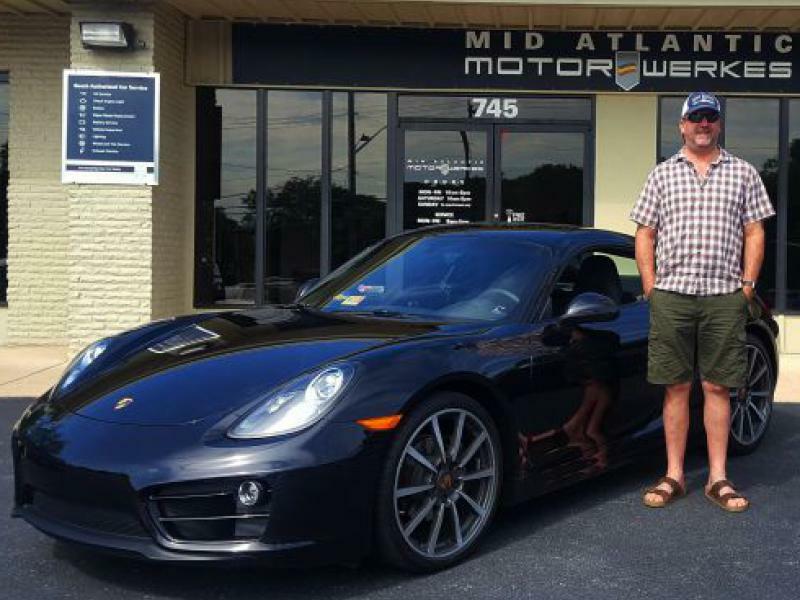 Luckily, for us, I decided to take my Porsche Panamera into Mid Atlantic Motorwerkes for an oil change this year. It’s there where I had the opportunity to meet Jason, Greg and Dallas; 3 top notch professionals in the luxury / import car profession. 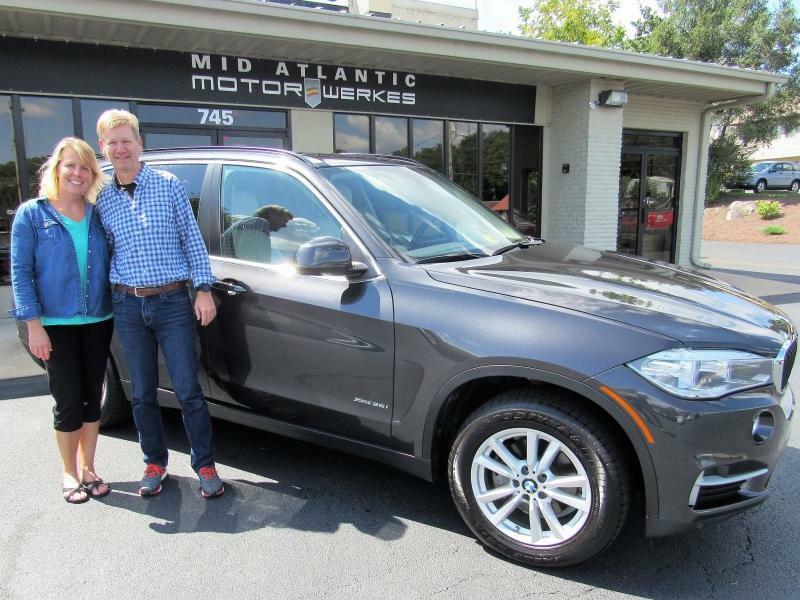 Since this first meeting, my wife and I have purchased a 2013 BMW X5 and a 2013 Porsche 911S from Greg and MAM. 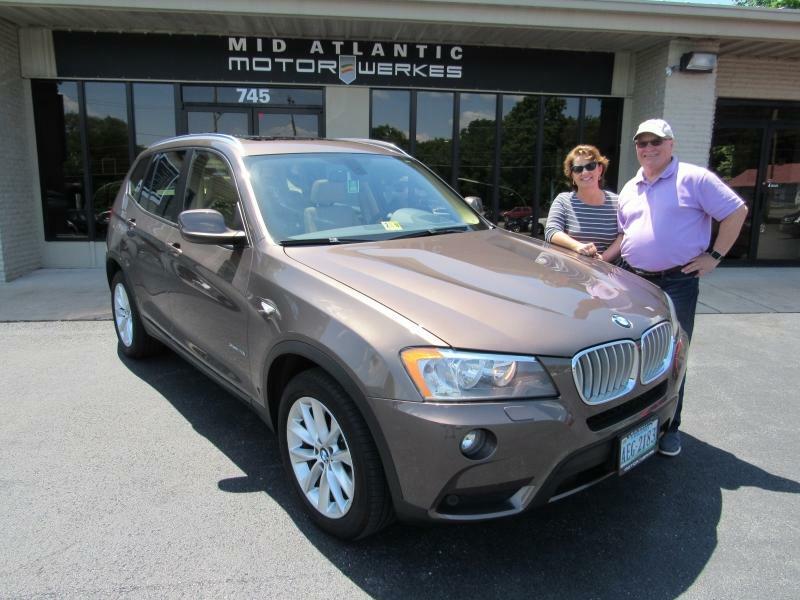 The buying experience far exceeded any car buying experiences we’ve had in the last 35+ years. 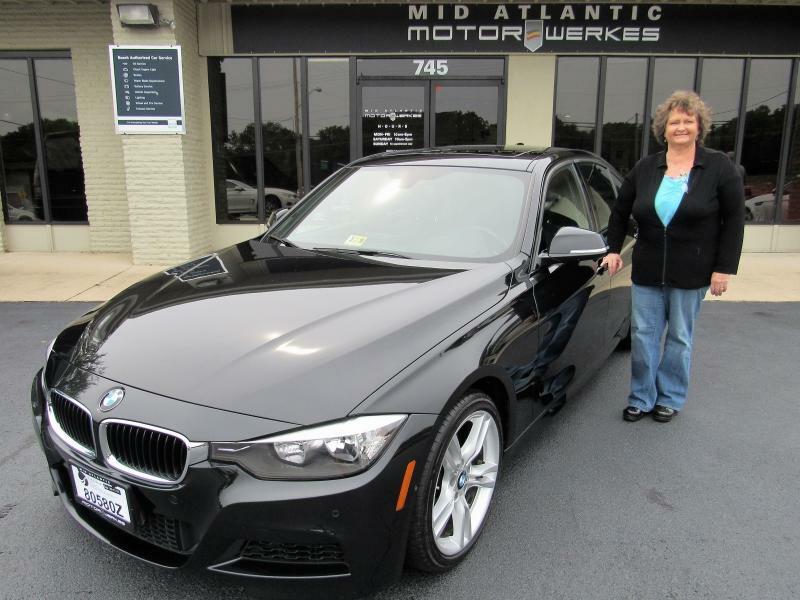 The entire purchase lifecycle from the selection process to the paperwork to having requested service performed on the vehicles, prior to pick-up, was truly remarkable. The knowledge provided to us from Greg, Jason and Dallas was first class. 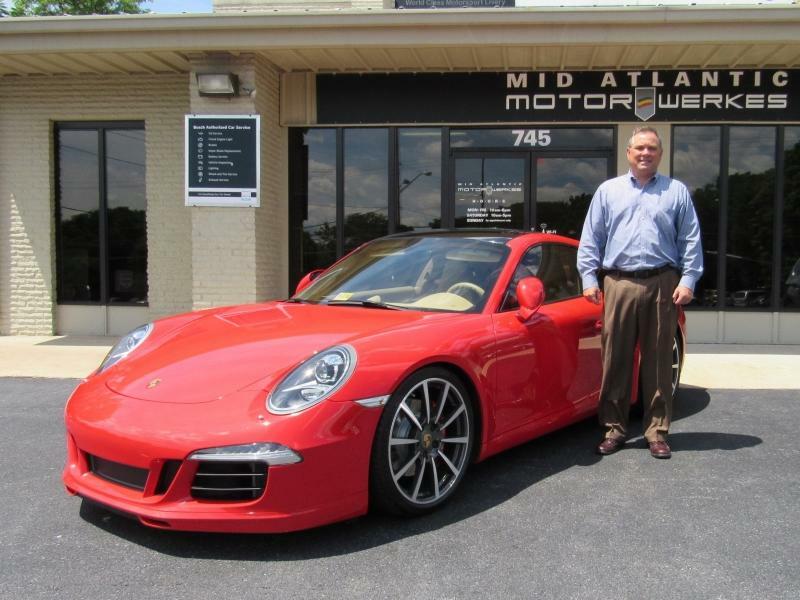 It is always comforting to know when making an automobile purchase, especially when purchasing a precision vehicle like a Porsche, you are dealing with individuals who have not only sold them but driven and serviced them for many years. More important is MAM provides “world class” customer service. When people are spending their good hard earned money it’s always important the individuals involved take the time to explain and understand the wants and needs of the customer; MAM does that in all areas of the business. MAM also provides a fair price, honesty and a trustworthy feeling. My wife and I honestly believe we have found a dealership, in the valley, which fits ALL of our needs going forward. We are customers of MAM now and will continue to build a personal and professional relationship with the MAM organization for many years to come!! 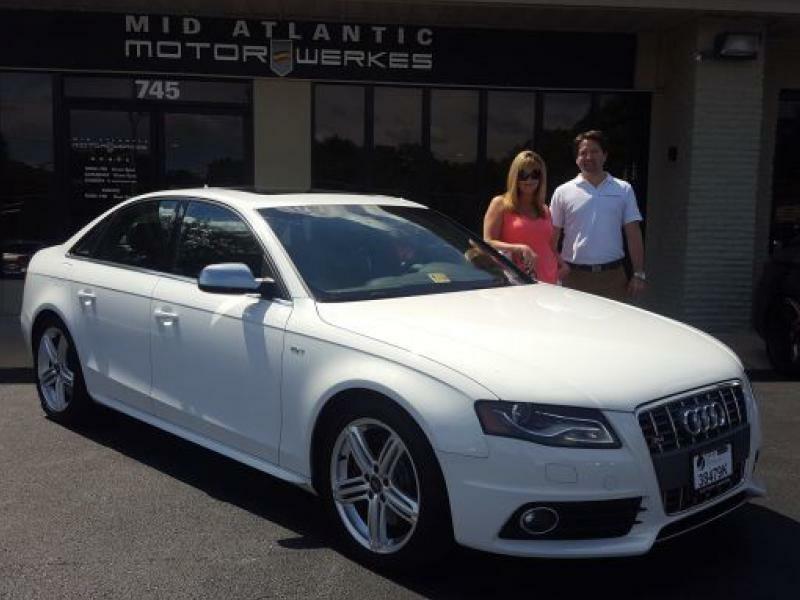 My wife and I highly recommend you visit Mid Atlantic Motorwerkes for your next import service and/or purchase!!! 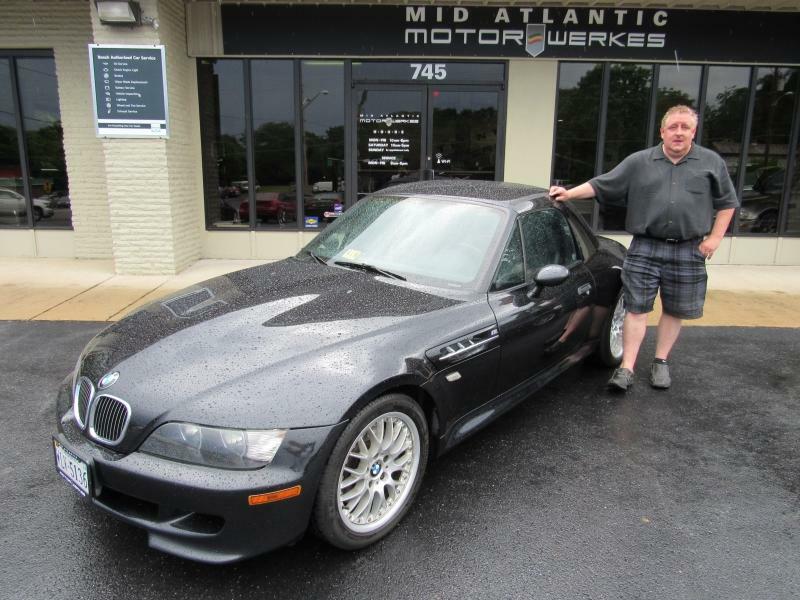 Several years ago, I purchased an E46 M3 from a private seller and had it serviced at a shop that was relatively close to where I live. After a few less than pleasant experiences, I began searching for another shop which brought me to M.A.M. To this day, I have not been anywhere else to service my vehicles. I’ve also had Jason complete all the performance upgrades as well. The guys in the shop are very knowledgeable and friendly to deal with. I’ve never felt like I was being “up sold” on anything. Over the years, my wife and I have purchased 3 vehicles (more to come I’m sure) and it has always been an easy and painless process. 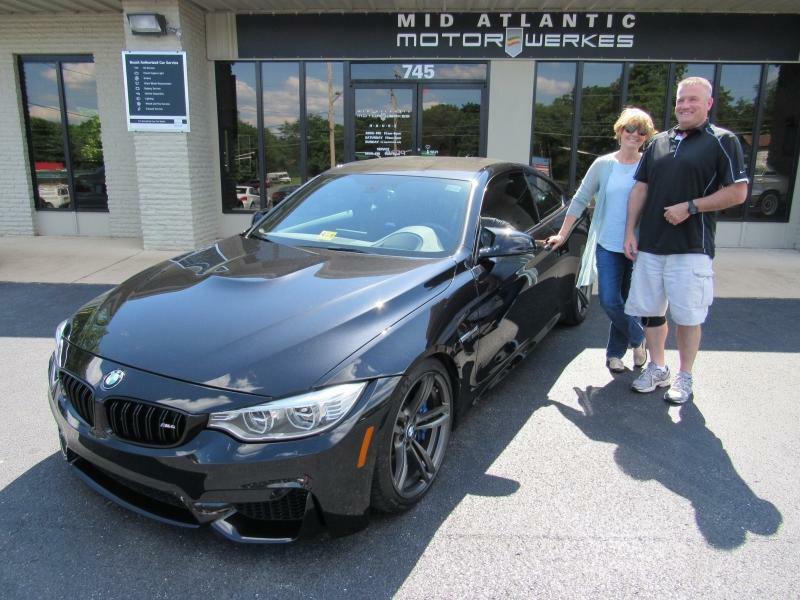 During my last purchase (2015 M4) Greg spent a long time reviewing the technology and awesome capabilities of this car. This level of customer service was very valuable and greatly appreciated. I’ve made several recommendations to friends when they are looking for a shop and will continue to do so. 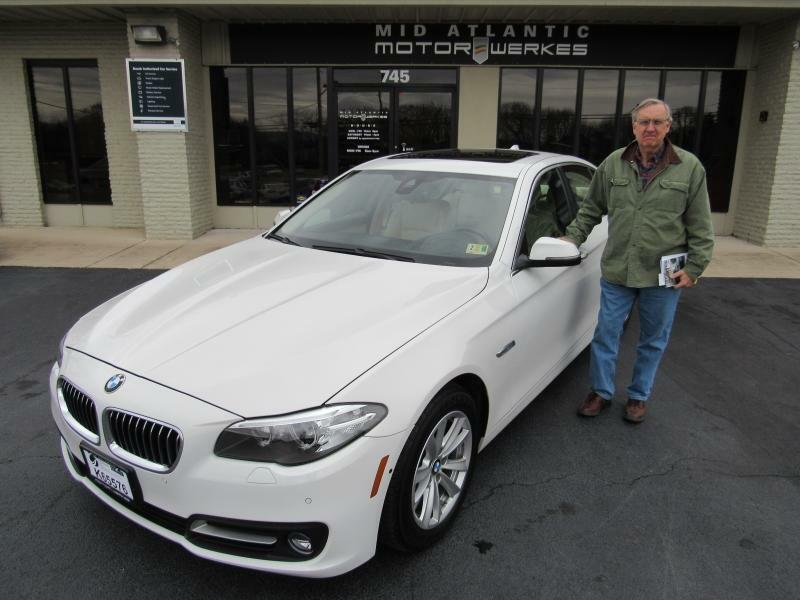 This makes Bill's 3rd purchase from Mid Atlantic Motorwerkes. 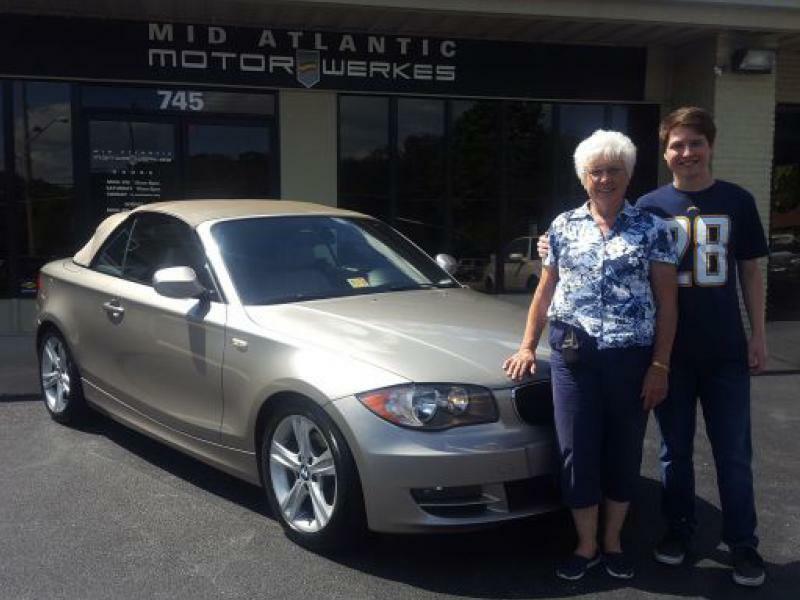 Our family's relationship with Greg and MAM began when our son was trading in his first BMW and was unsatisfied with the offers from Northern Virginia dealers. 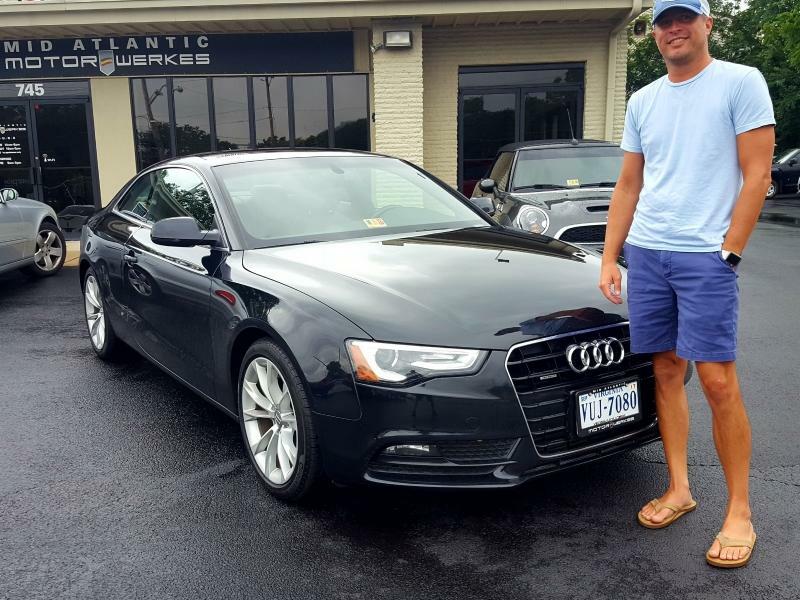 After bringing the car to MAM for another opinion, Greg's offer was significantly higher than the Northern Virginia dealers, making our son's decision a simple one. Greg has continued to be fair with us ever since. 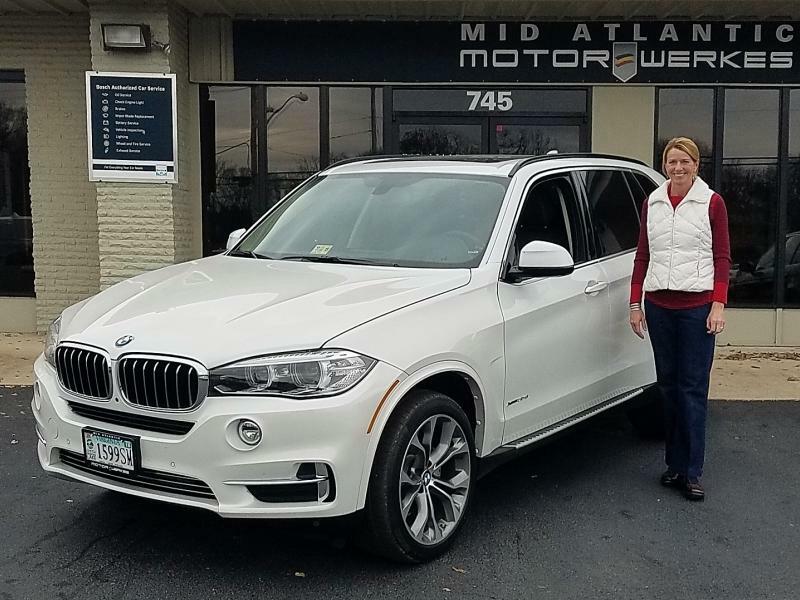 Over the past several years, our family has purchased and sold seven vehicles with MAM including 5 BMWs, a Corvette and a Lincoln. 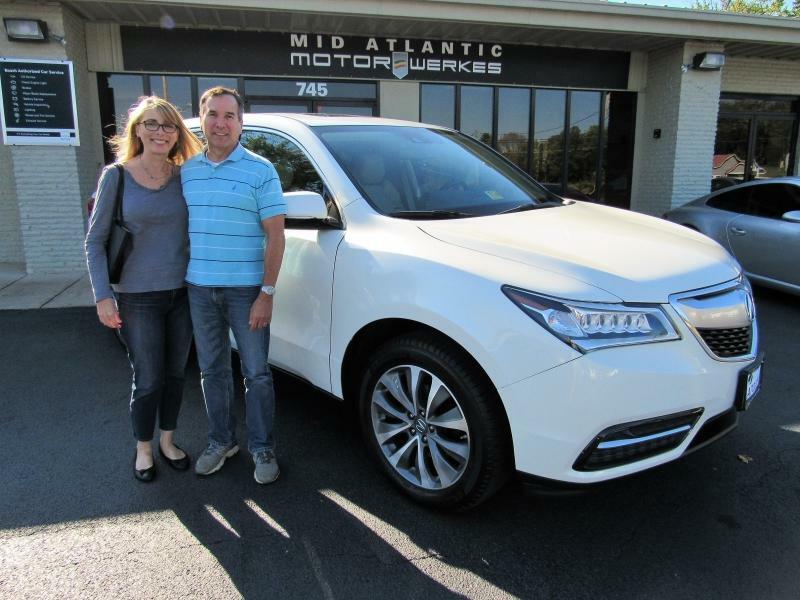 Several times the car we thought we really wanted wasn't on the lot at the time, but Greg located exactly what we were looking for at a fair price, and has delivered beyond expectations each time. 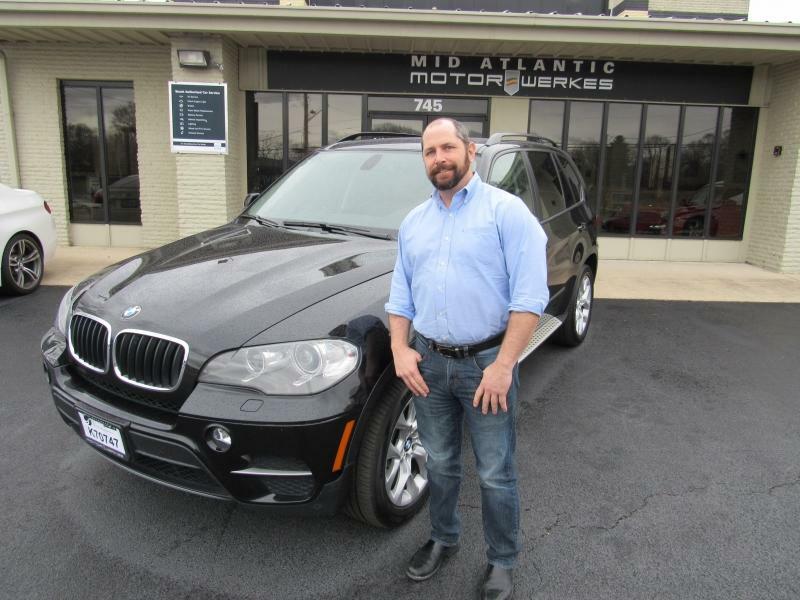 Whenever our BMWs have needed out-of-warranty service, Jason has taken great care of us by clearly explaining what needs to be done and then completing the work in a timely manner. 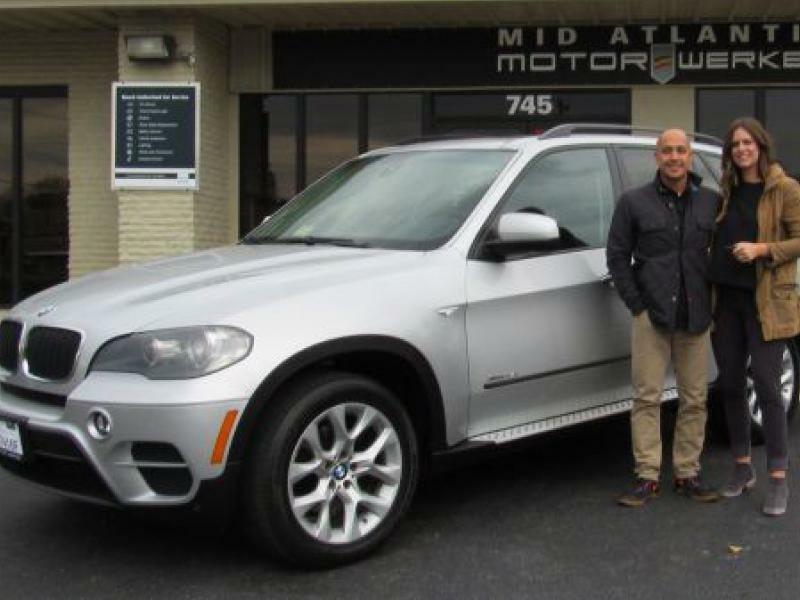 We enthusiastically recommend talking to Greg, Dallas, Jason, and the rest of the MAM team if you're interested in buying, selling, or servicing a European luxury vehicle, especially a BMW. 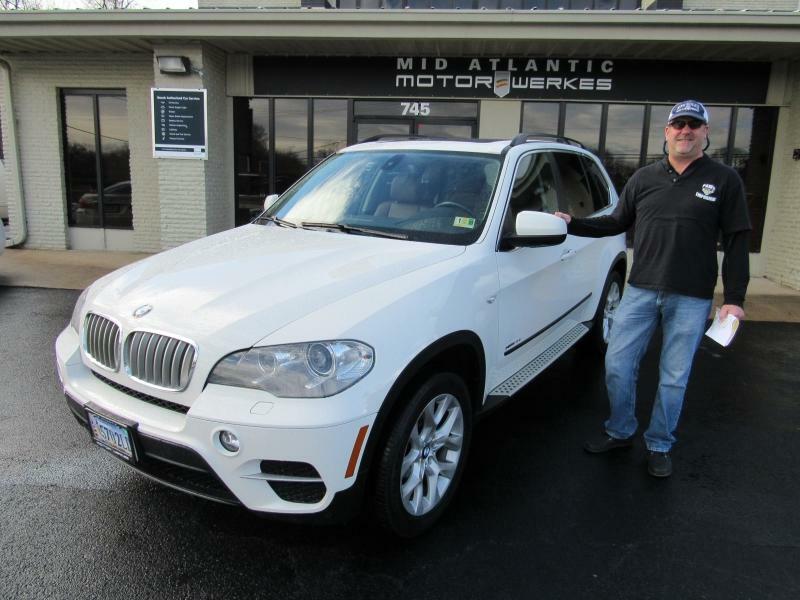 I was referred to Greg and Mid-Atlantic Motor Werkes through a friend who told me that “this was the place to go if you’re looking for a great car for a great price.” I reached out to Greg to help me find a X5 about a month ago and was so pleased with the process. Not only did Greg respond immediately but he made the whole car buying experience stress free. I emailed him exactly what I was looking for and max. price and he went to work to find me the perfect car. 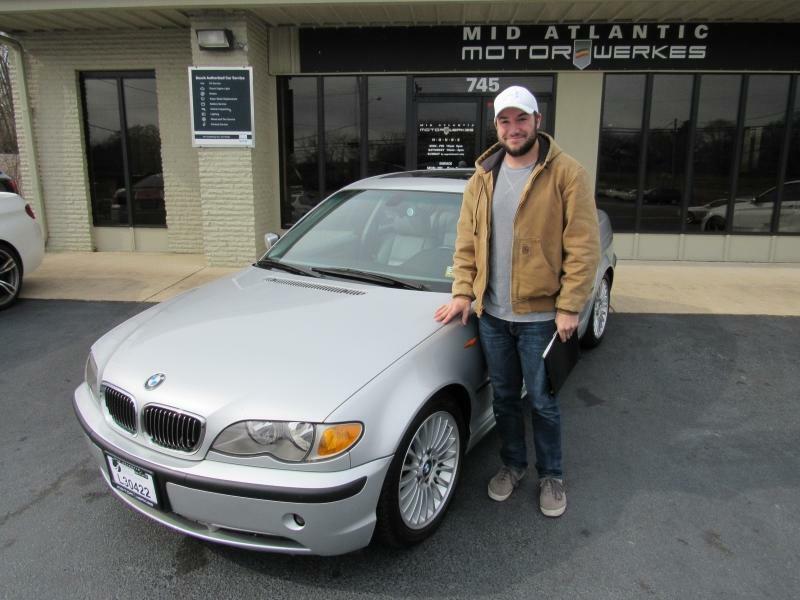 Within 2 weeks I drove down to Harrisonburg to pick-up my new car. When we got there the car was detailed and ready to go. The whole process literally took about 20 min. from start to finish. I couldn’t be more pleased with my experience and will definitely be going back to Greg in the future. Thanks again! It’s very nice to be back in the “family” as you mentioned during our purchasing experience. It’s interesting how we can joke about it, but you all really have a way of making car buying/trading a straight forward, honest experience in the way you go about the entire process. It’s more than just making a sale for you – it is about creating a customer relationship that is based on integrity – it does feel like a family atmosphere. 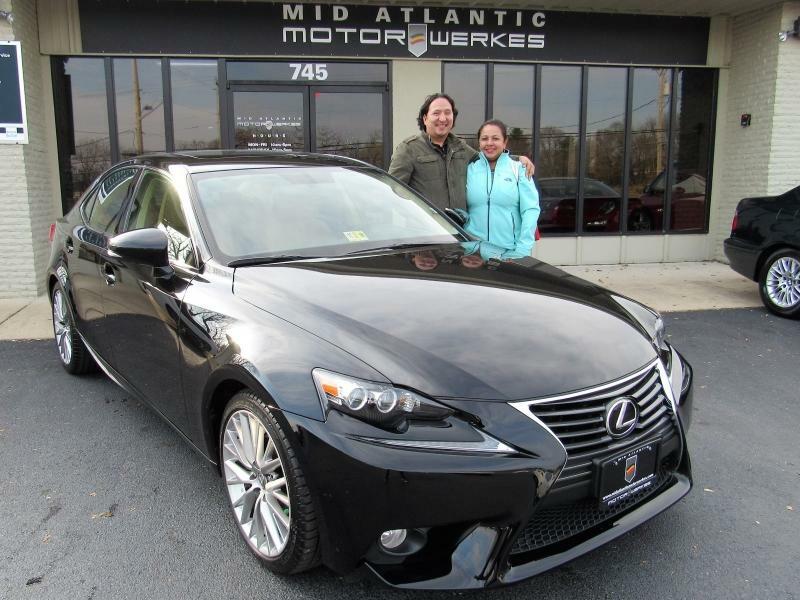 This Lexus is the third vehicle I have purchased from you over the years, and I truly appreciate doing business with you and your team. I trust you folks – and you deliver a buying experience that is exceptional. 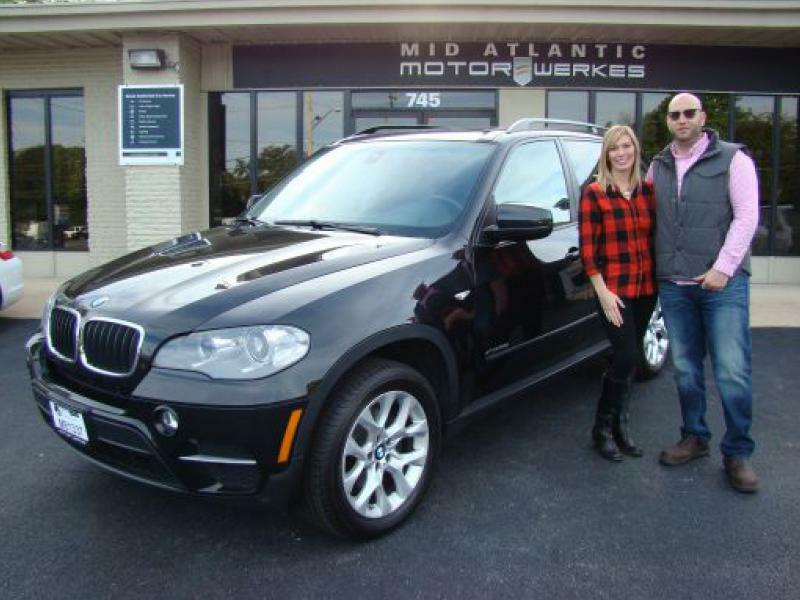 Dallas was very helpful and responsive to my questions and was very accommodating as we were trying out this SUV. He made the paperwork completion for the sale so easy. My wife and I are extremely happy with this purchase. Thank you again for making this trade possible by working with me as we crunched the numbers and came together on terms. 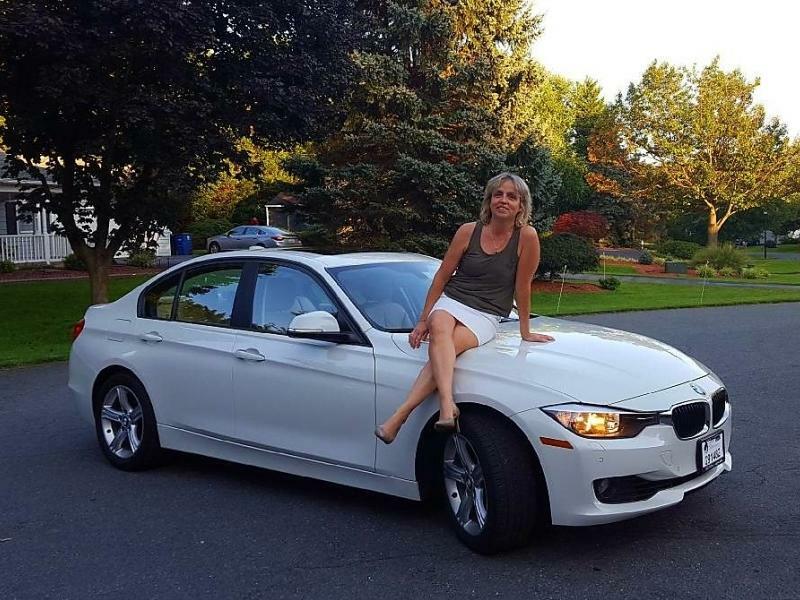 I will send my friends and clients your way when they are in need of finding a quality car so they can work with a professional who is passionate about taking care of their customers. I appreciate you and the way you do business. 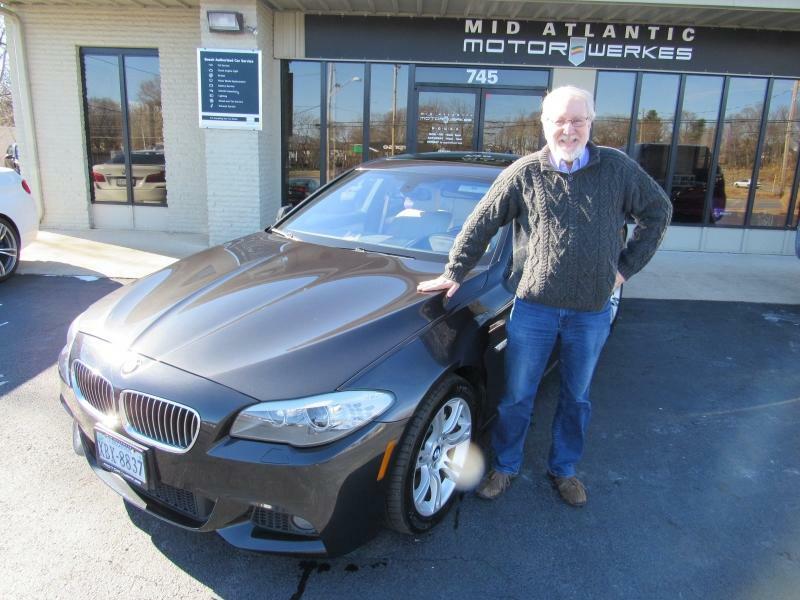 Excellent buying experience with Greg Shaffer and mid-Atlantic motorwerkes! 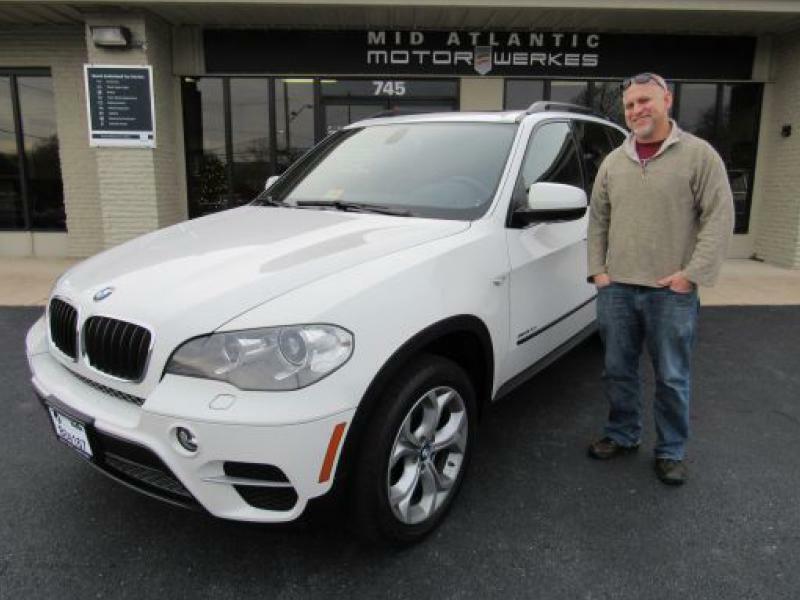 Mid Atlantic motorwerkes has an excellent selection of cars! 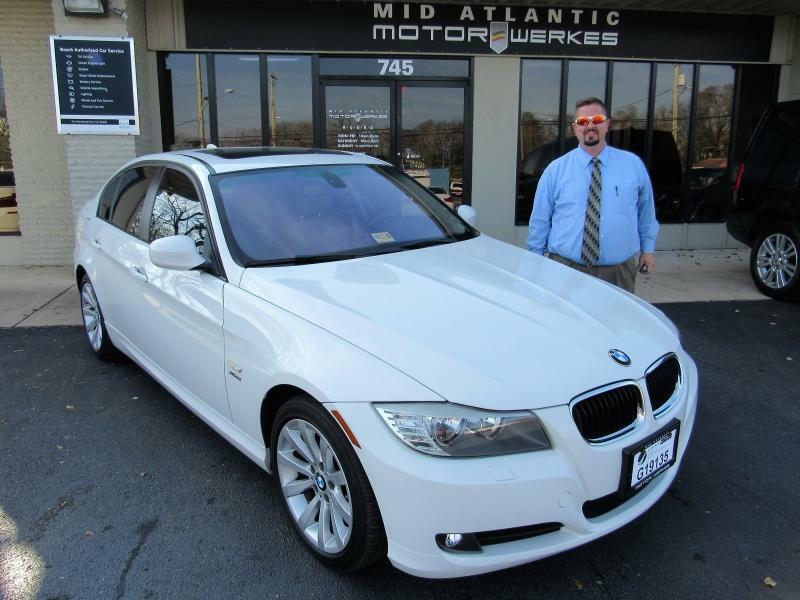 I went to Greg looking for an upgrade to the BMW I currently owned, he found the perfect newer match! 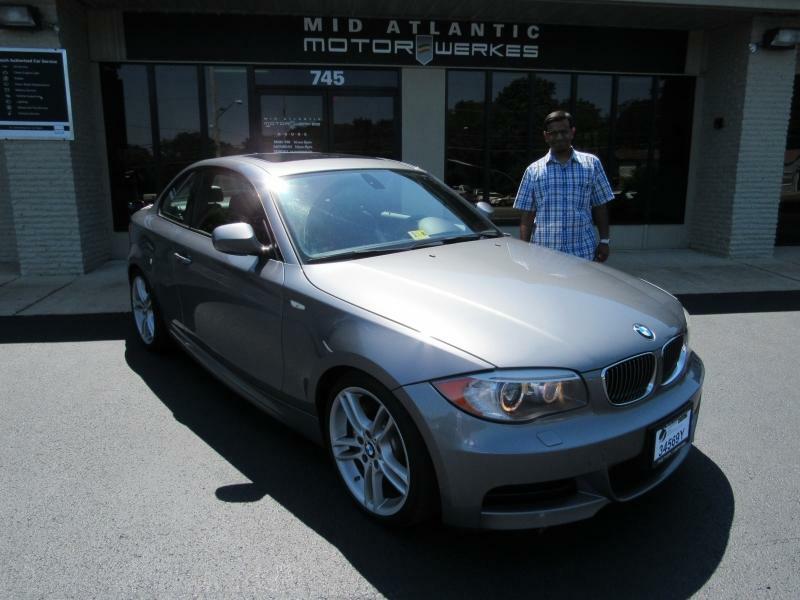 Not only did he find the BMW I was looking for but he was much cheaper than all the BMW dealers around locally. 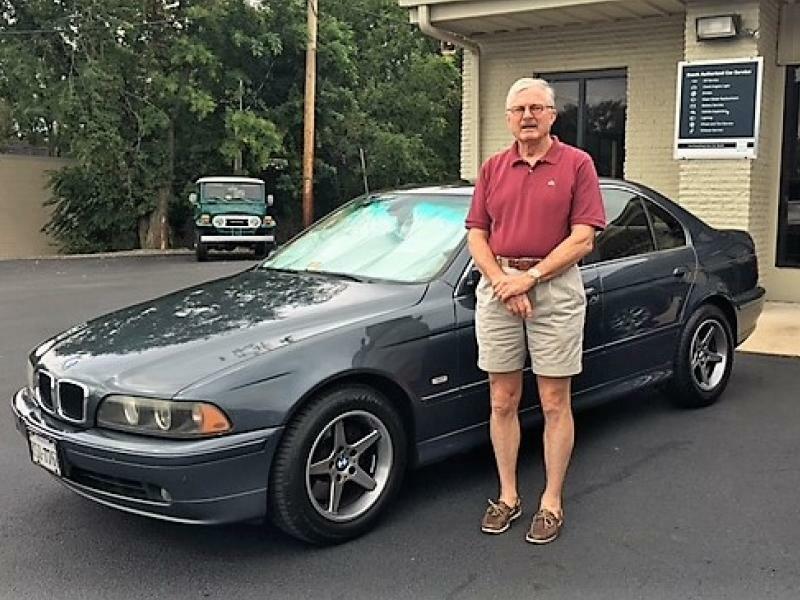 The no hassle sales approach, the follow up answers to my questions and the important information shared by Greg about the car will have me returning for another future purchase. 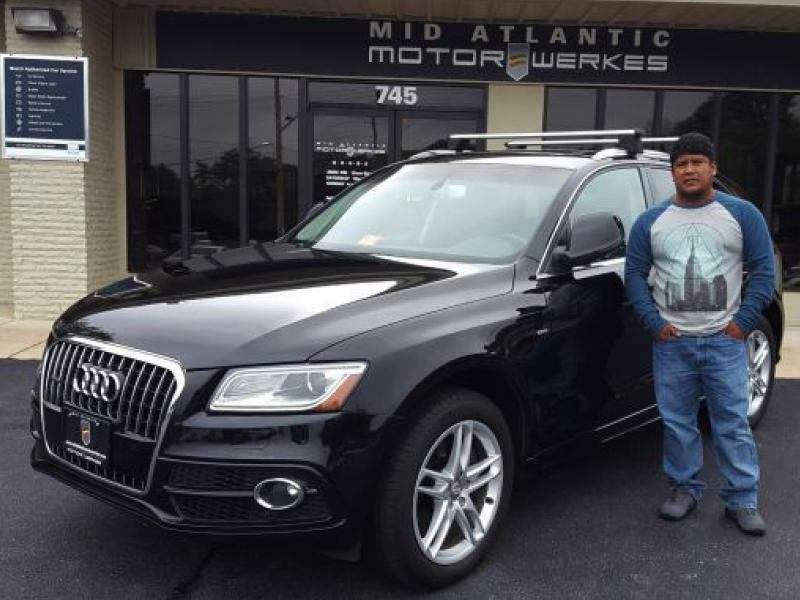 I would also like to recognize the technician Jason that works at Mid Atlantic Motorwerkes. Jason never hesitates to share his knowledge on any BMW mechanical question that I may have and even offers to show me on the car itself. Awesome group of people there, keep up the good work! 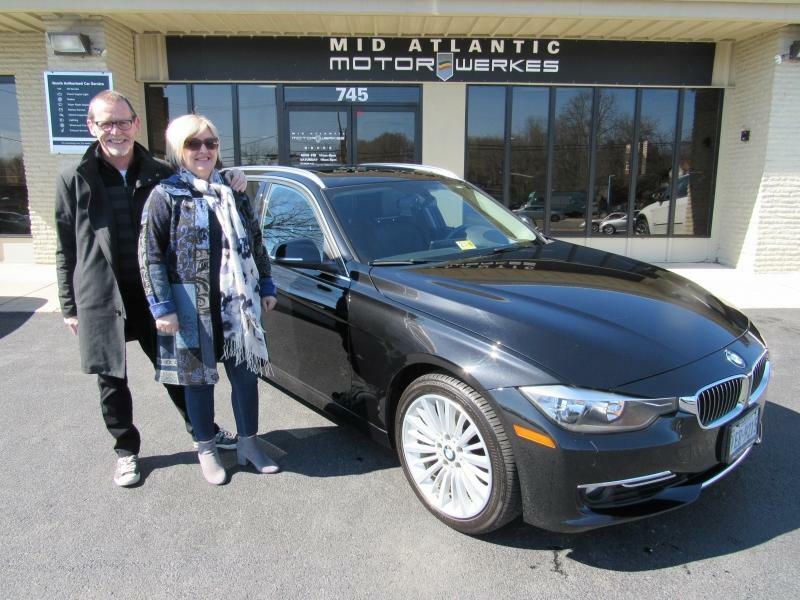 Through Cars.com we were notified of a 2014 BMW 328i x-drive Wagon for sale at Mid Atlantic Motor Werkes in Harrisonburg, Va. 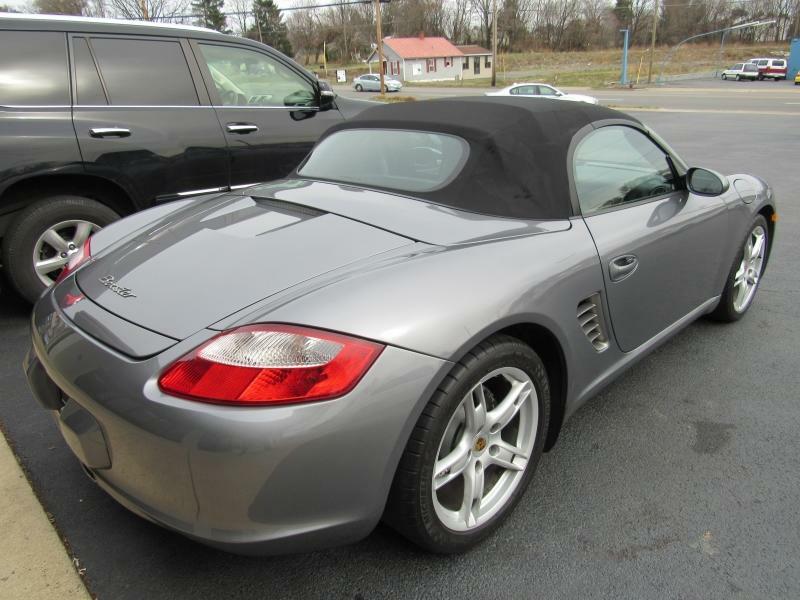 These are rare and this model, year and mileage looked promising. 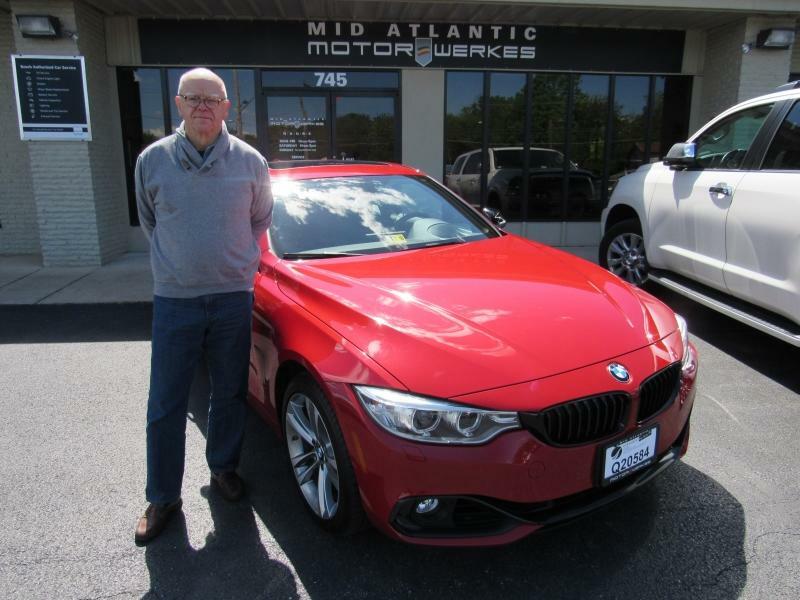 We contacted Greg Shaffer at Motor Werkes and arranged to travel the 2 hours to his dealership to look at the car and take a test drive. 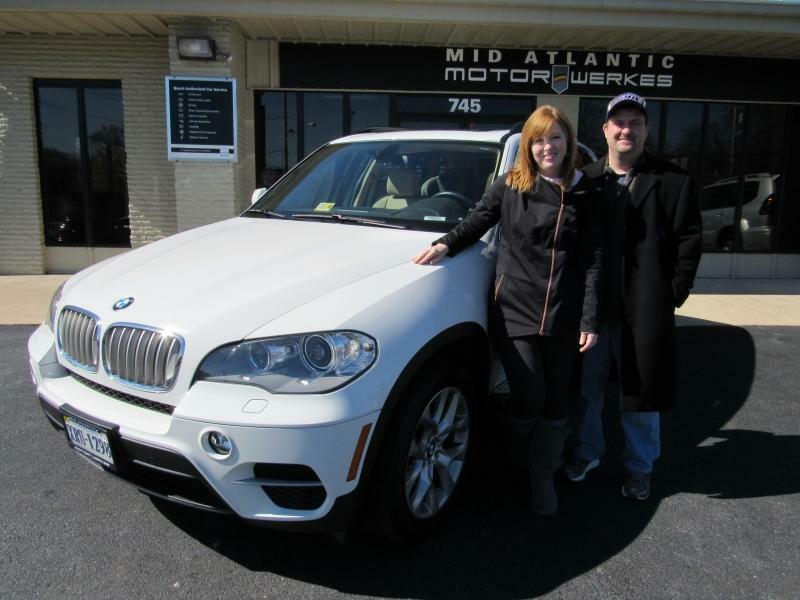 Four days later we had completed all the paperwork (including a trade-in for our existing BMW) and drove away from Greg's proud owners of our latest BMW! Throughout the whole process Greg and his colleague Dallas were super responsive, very professional and made us feel welcome and under no pressure to buy or trade. 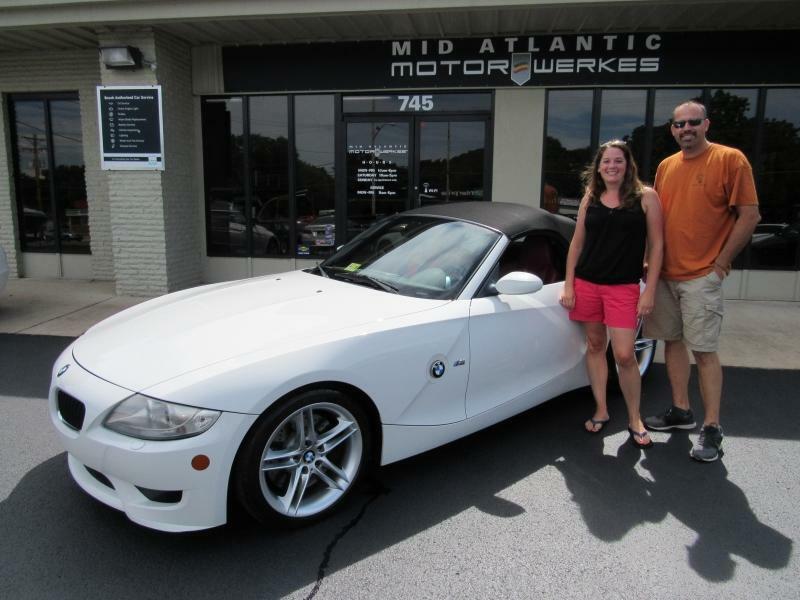 They made the paperwork and administration simple and handled the whole transaction very efficiently. 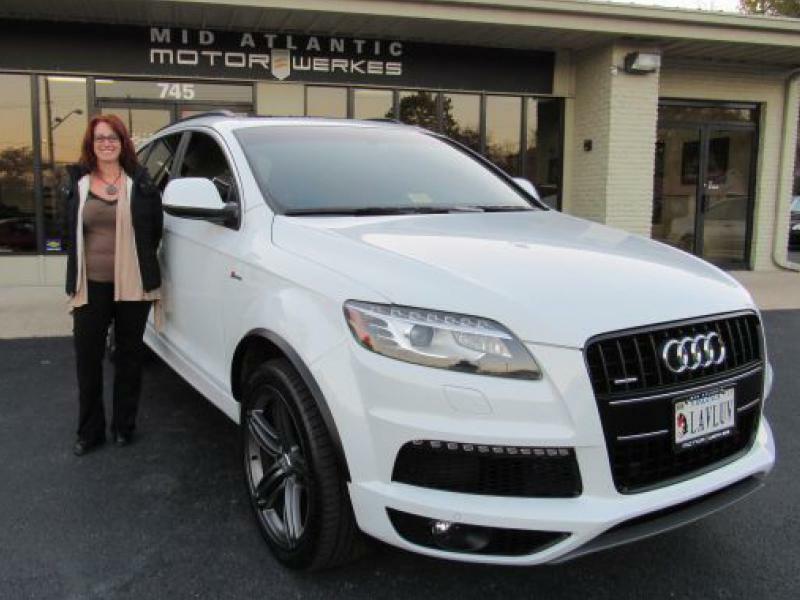 We have no hesitation in recommending Mid Atlantic Motor Werkes. 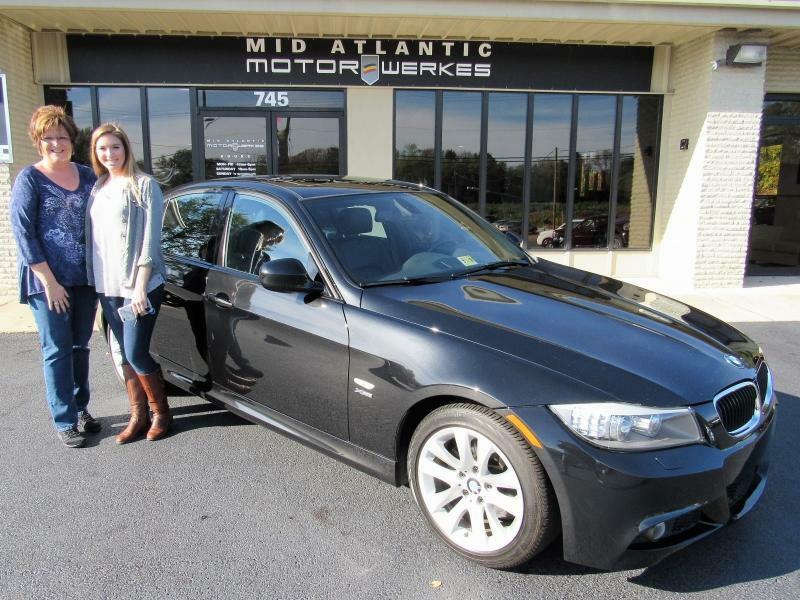 This is the Ellis's 2nd BMW purchase over the past few years. This makes one of many purchases I have made from Mid Atlantic Motorwerkes. The Sales and Service staff are unbeatable and truly make you feel like you are part of a family! 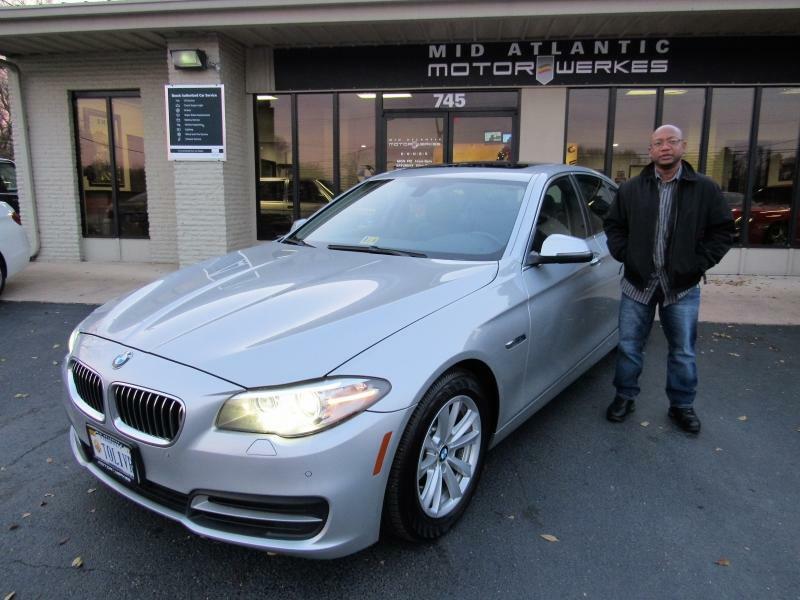 There was no haggling or closed door meetings...just a quality car at an unbeatable price. 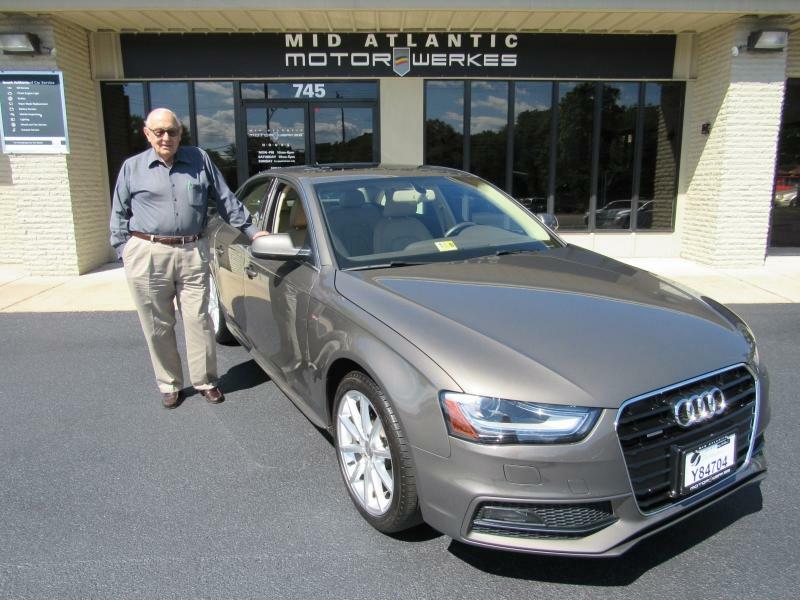 Greg is an absolute pleasure to deal with and his knowledge and expertise gave me confidence in my purchase. 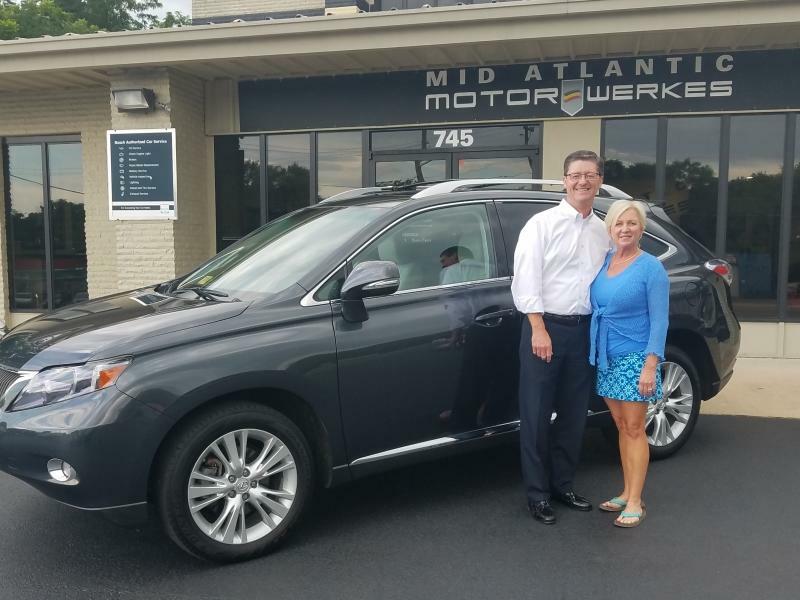 Trust is a key component when you are making such a large investment and from beginning to end, I trusted Greg and his staff completely. I felt like he took the time to listen to what I wanted and needed in a vehicle and delivered exactly what I was looking for. 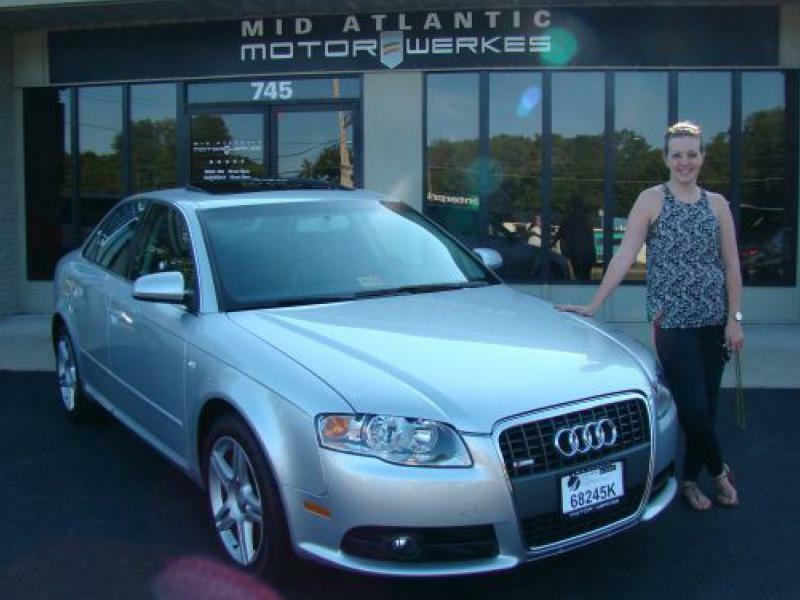 I couldn't be happier and I absolutely LOVE my new Audi. 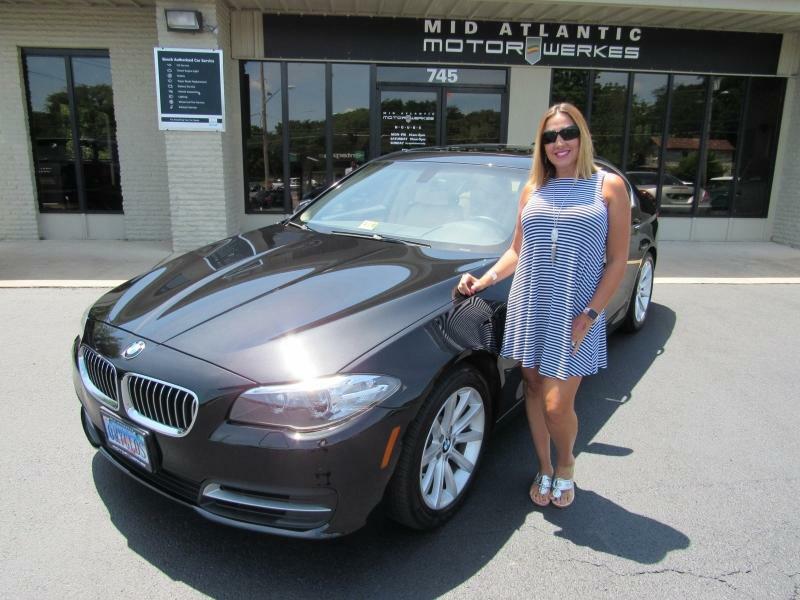 Thank you Mid Atlantic Motorwerkes!! You have a customer for life! See you next time! 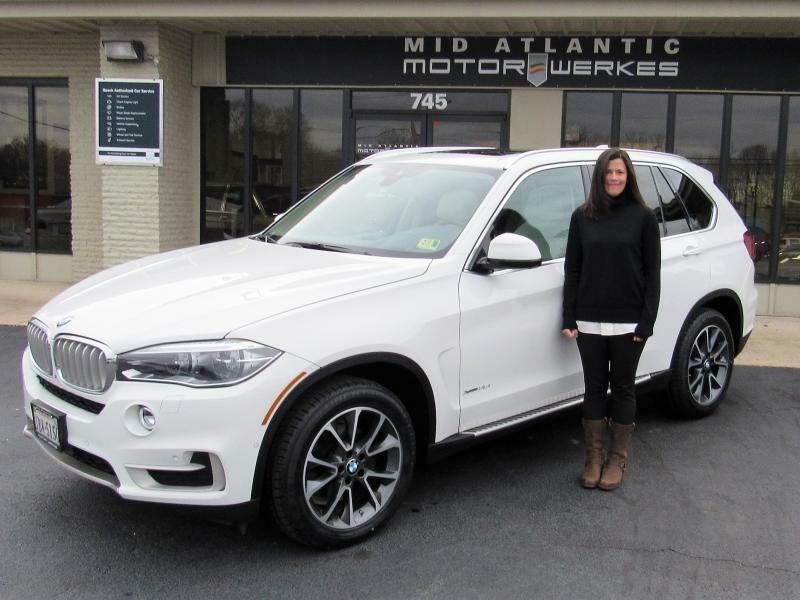 This is Melissa's 3rd purchase from Mid Atlantic Motorwerkes over the years.